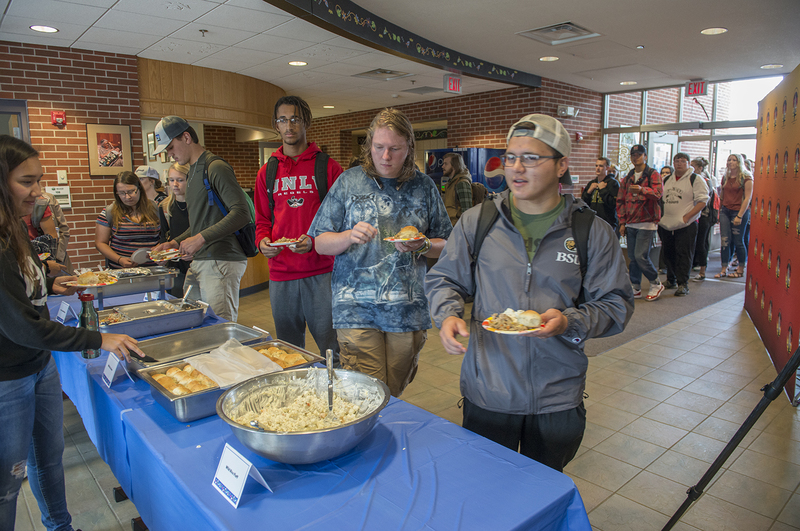 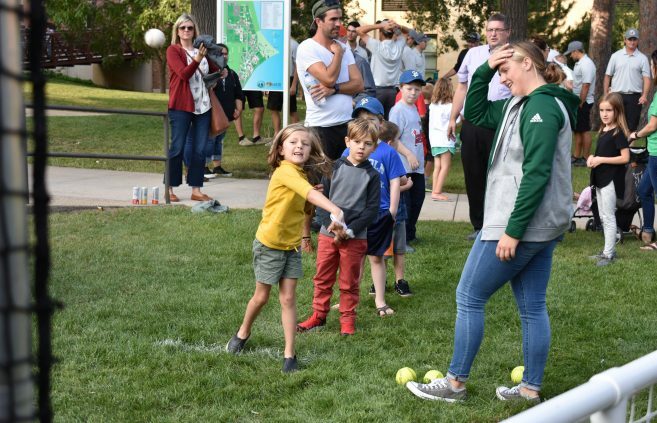 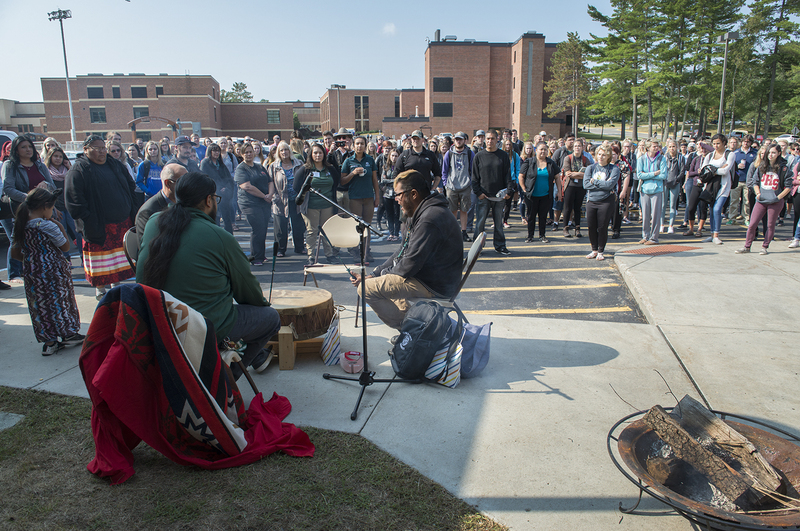 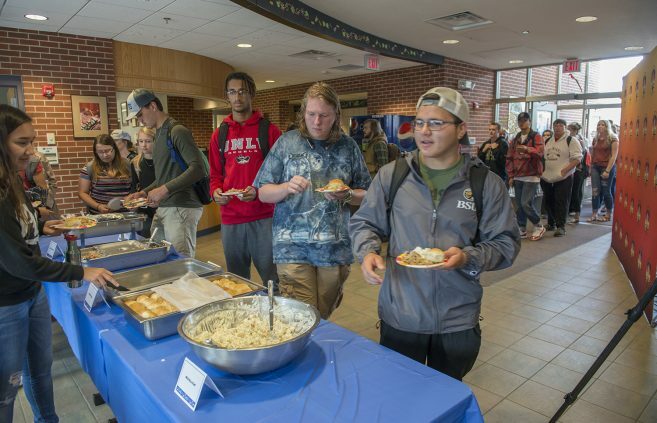 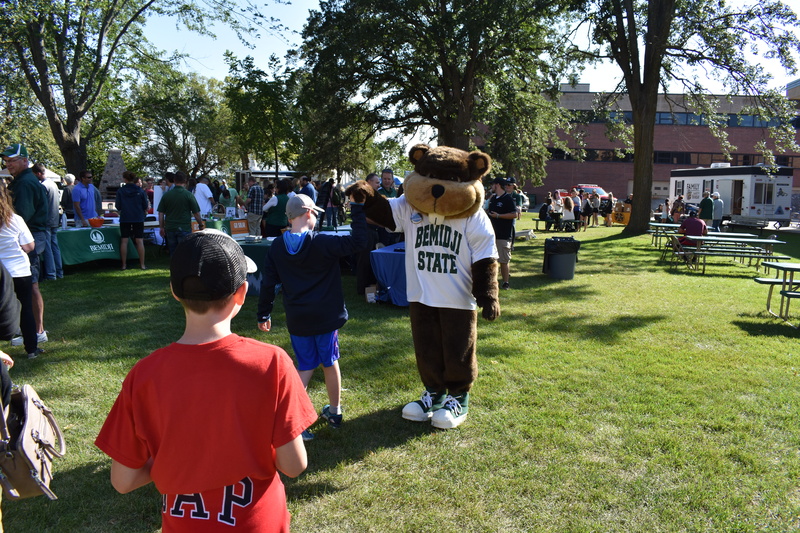 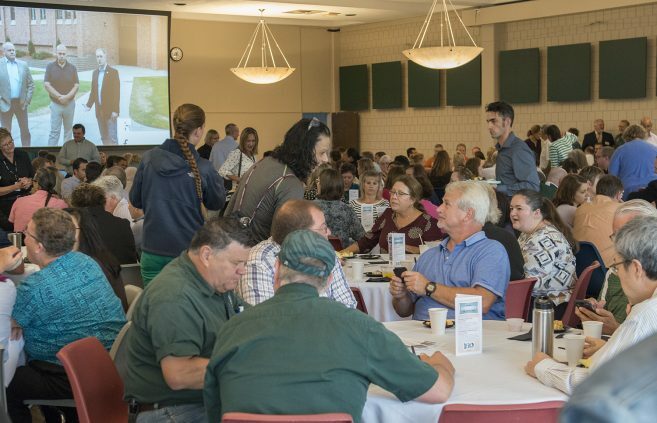 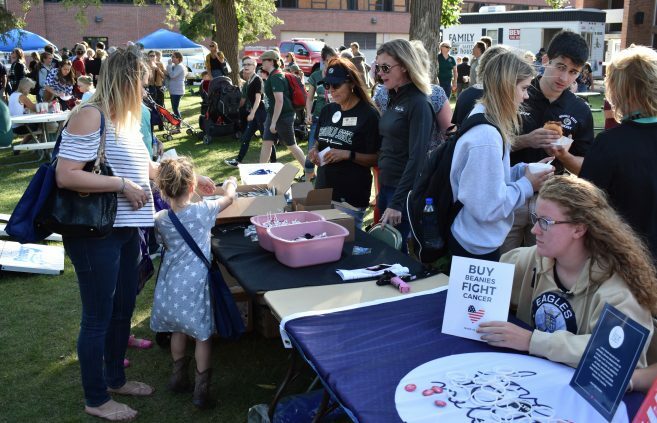 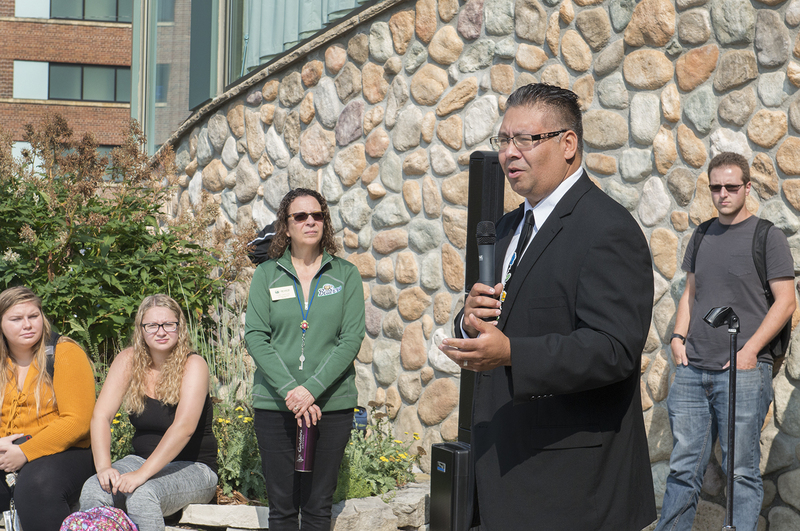 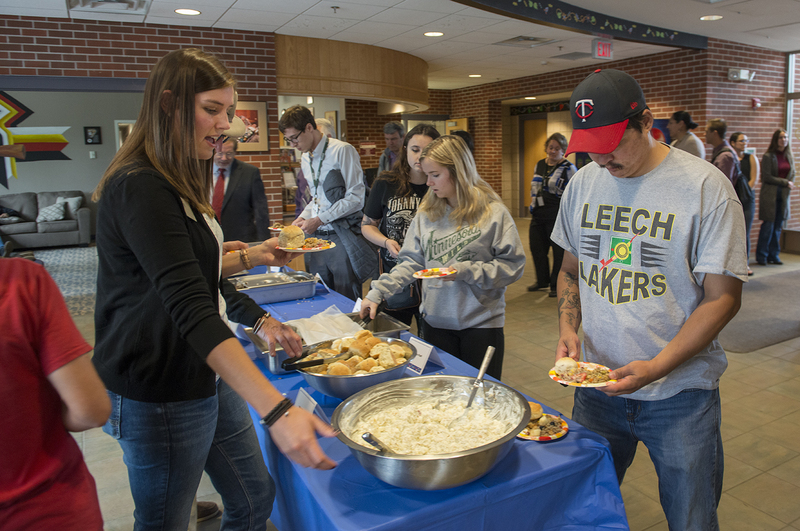 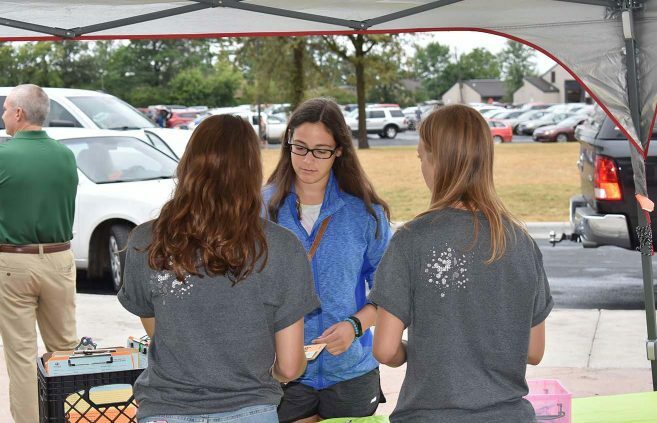 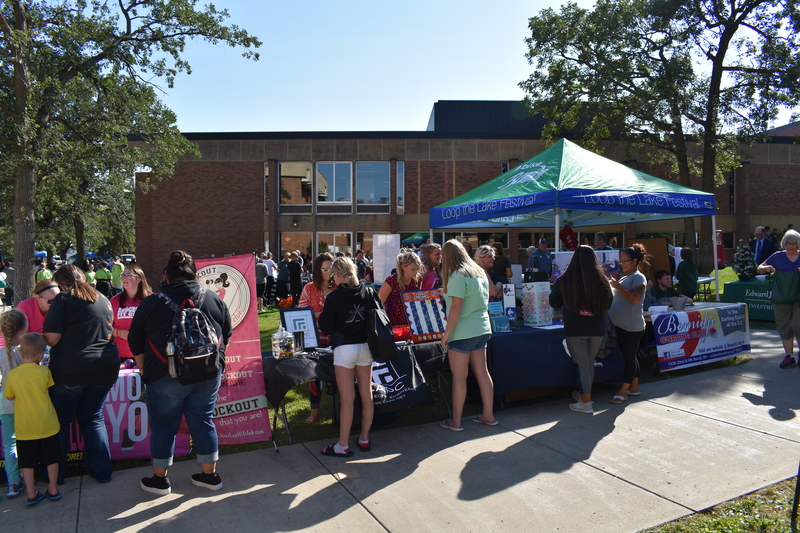 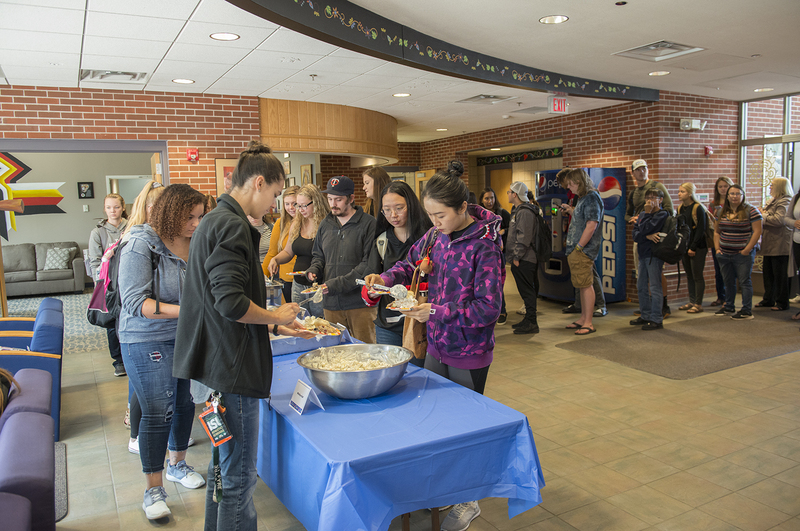 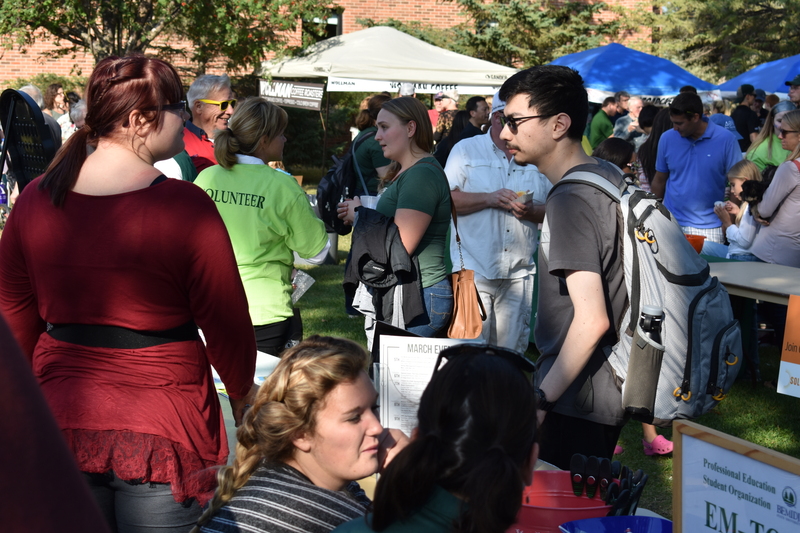 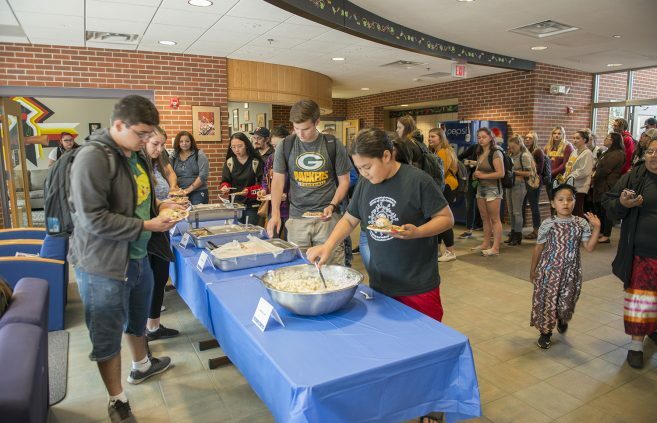 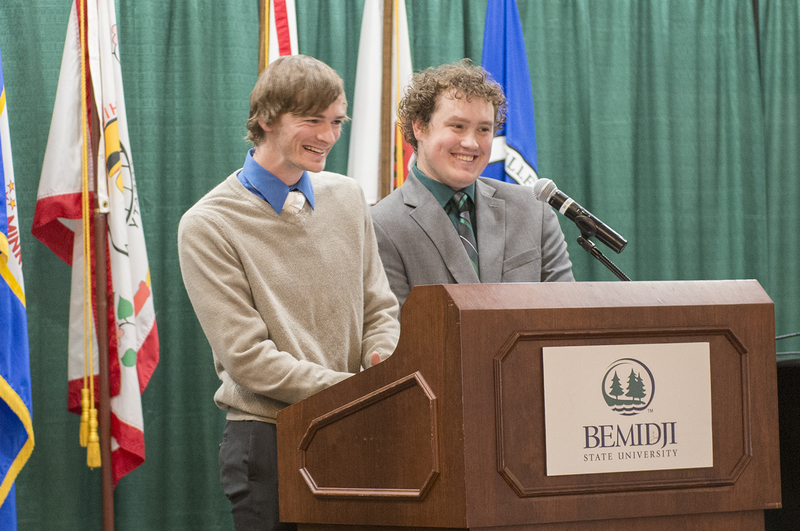 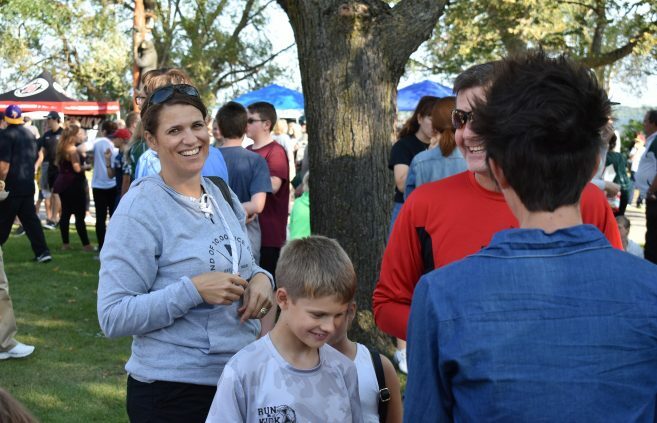 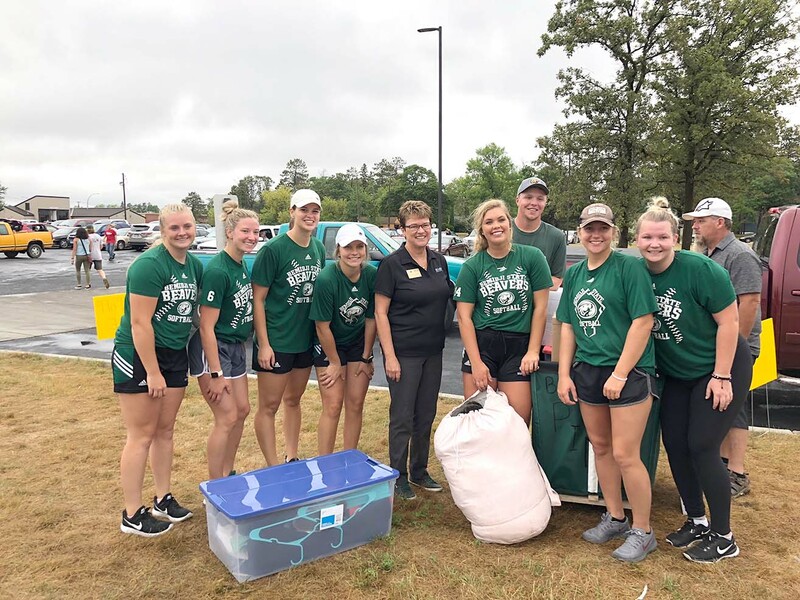 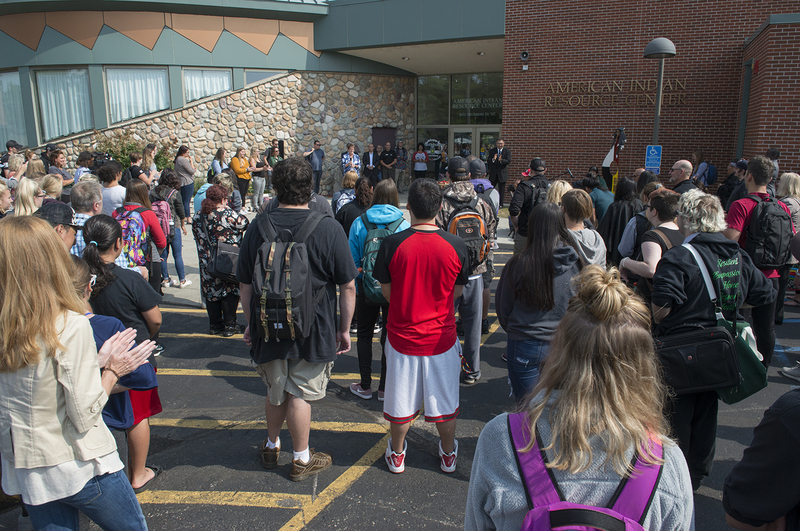 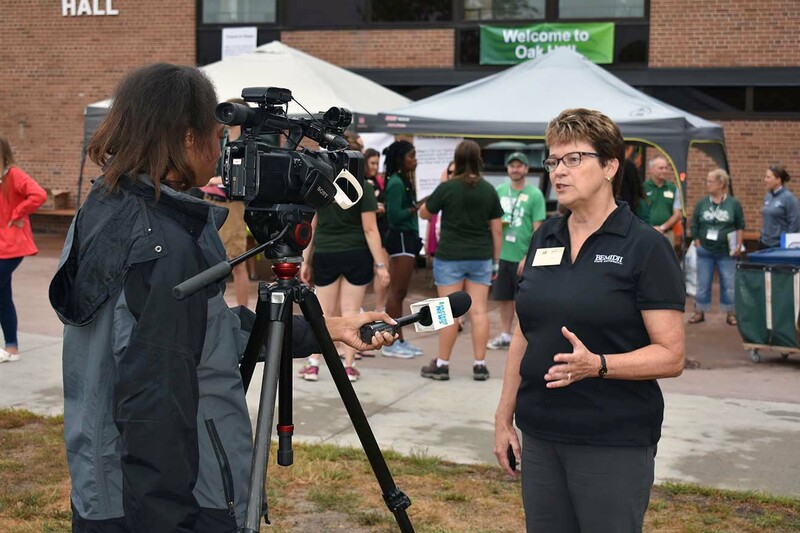 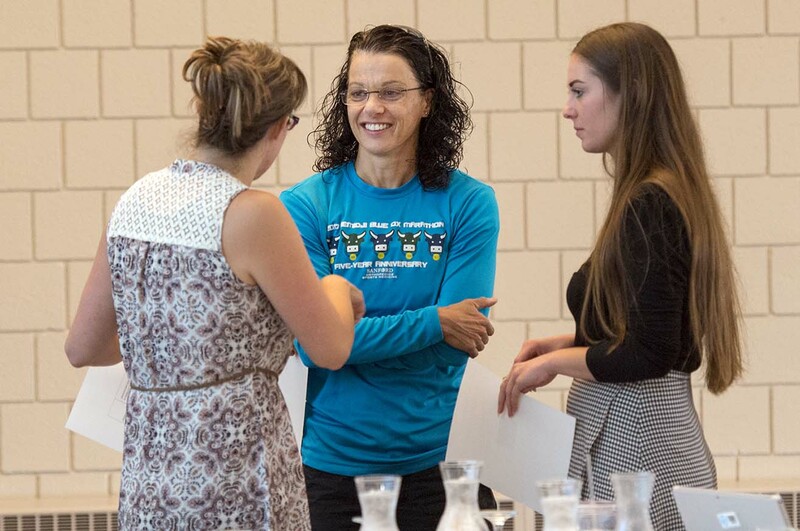 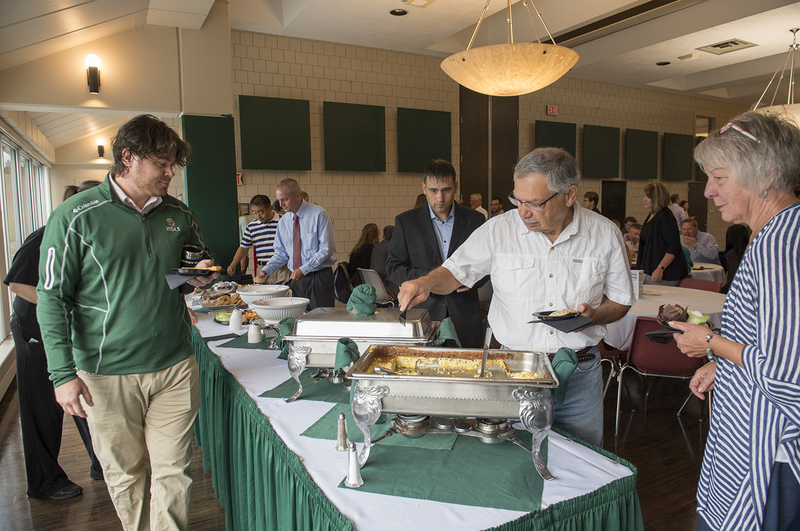 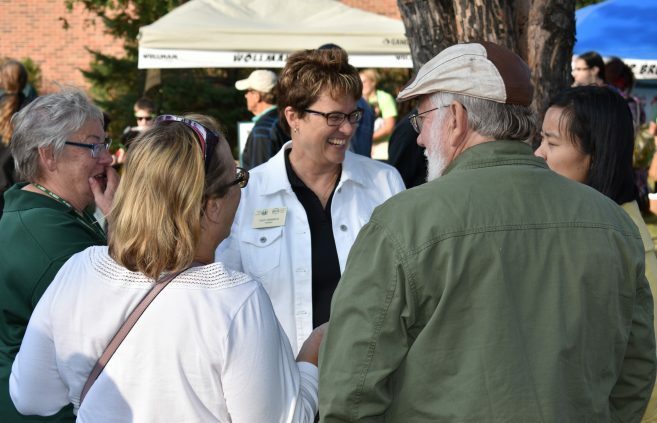 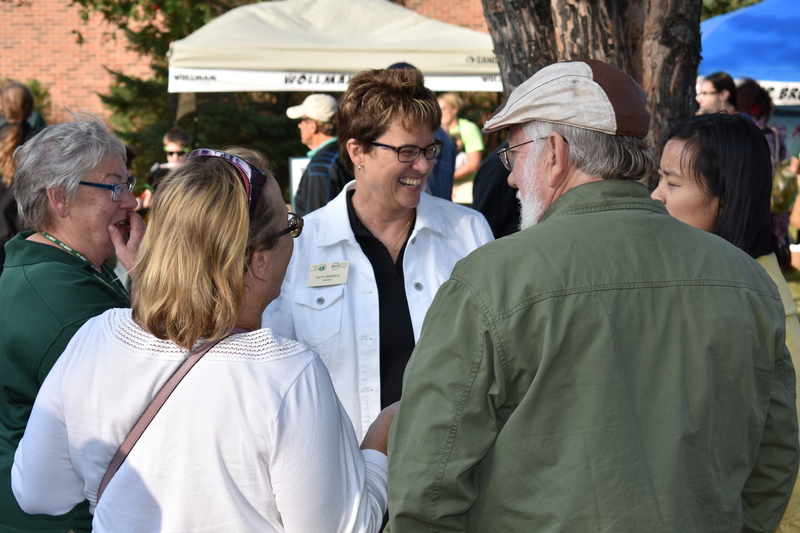 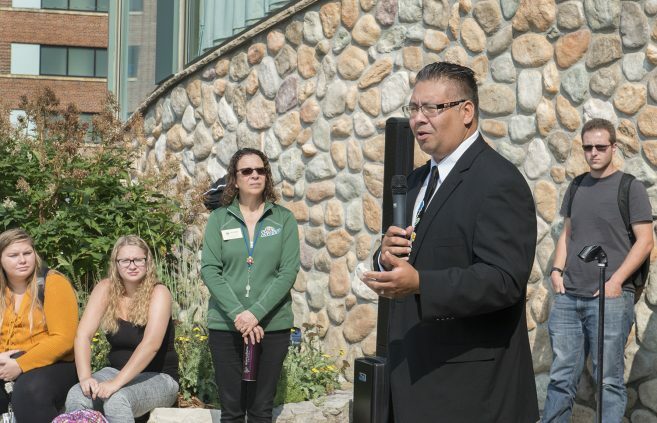 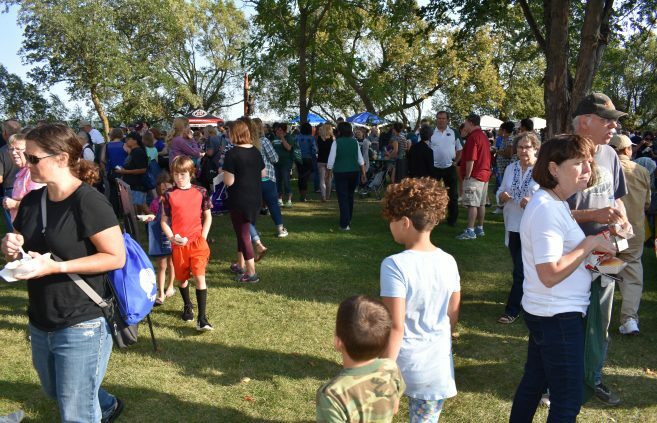 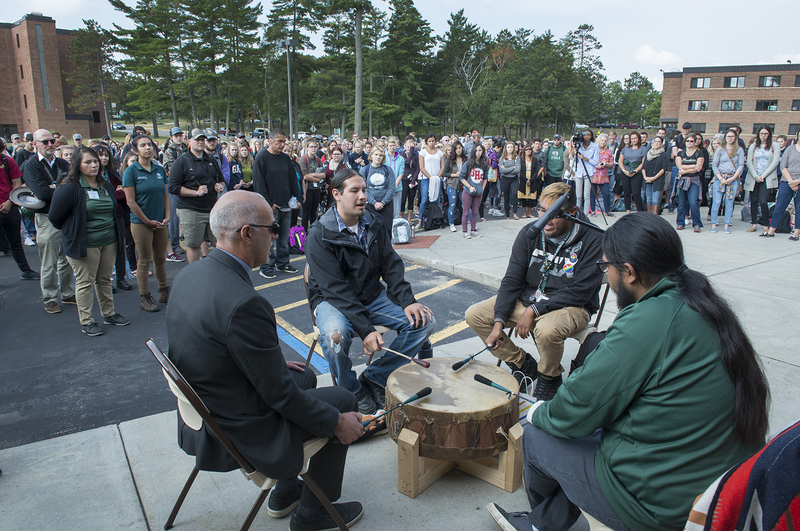 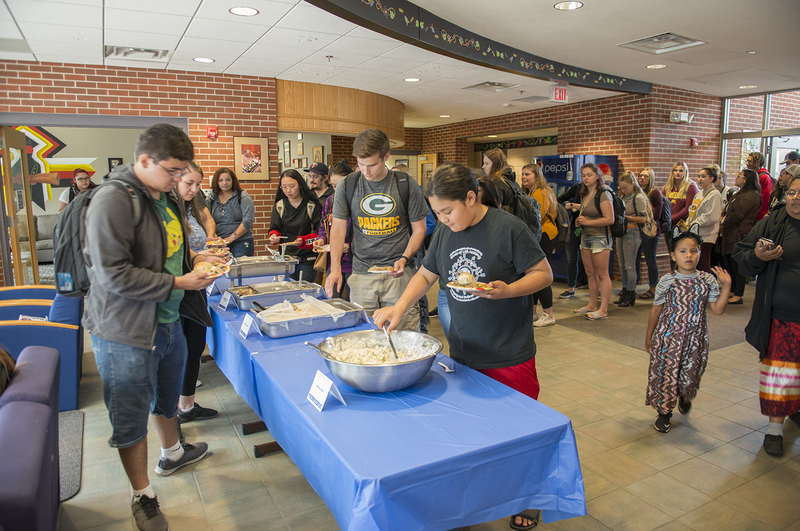 Bemidji State University invited residents of Bemidji and the surrounding communities to join faculty, staff, administrators and students on campus Aug. 30 for its 13th annual Community Appreciation Day. 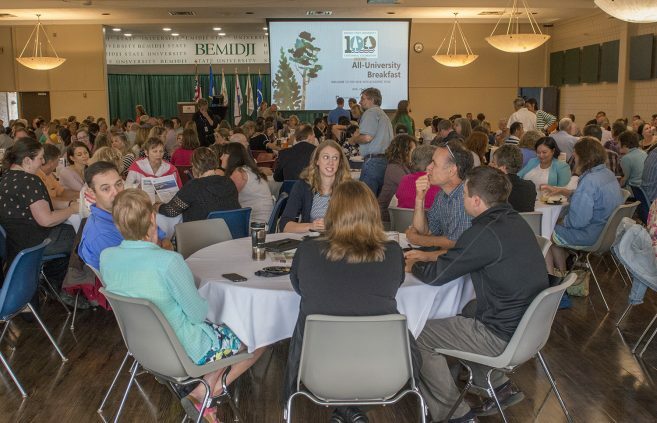 Bemidji State University and its degree programs have recently received a variety of awards for quality and affordability from several websites specializing in college rankings. 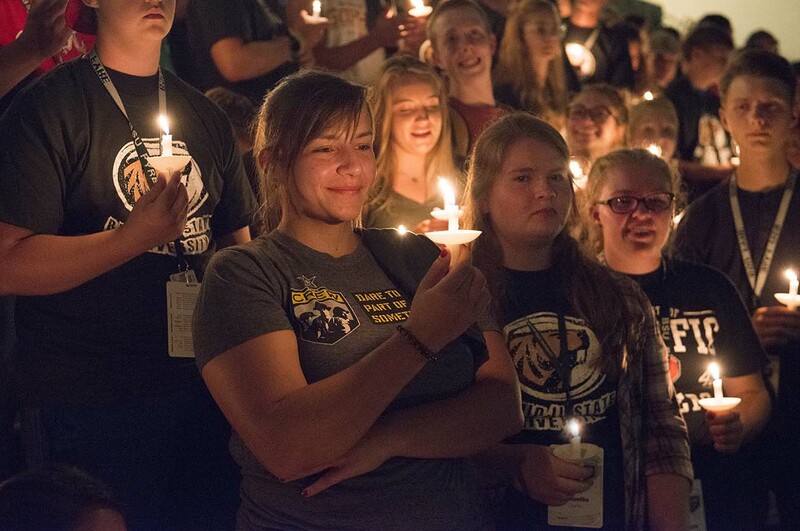 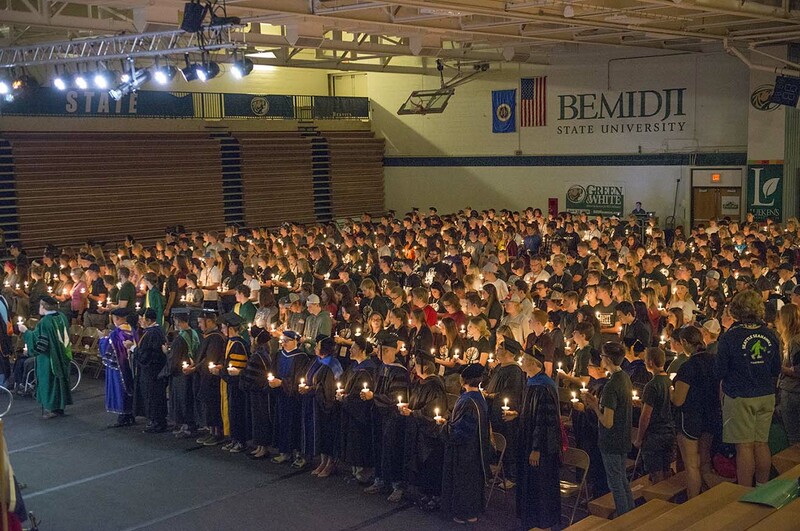 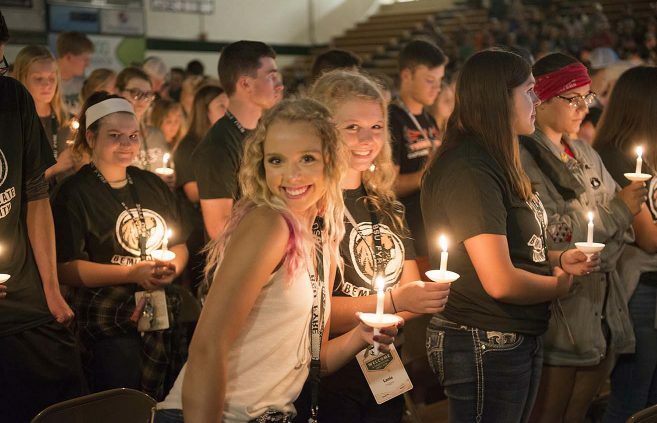 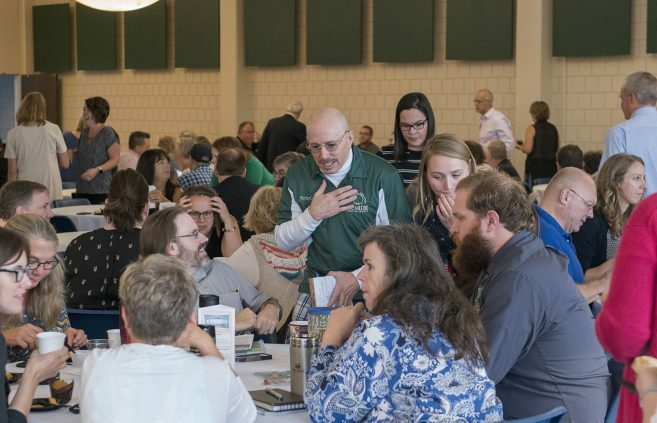 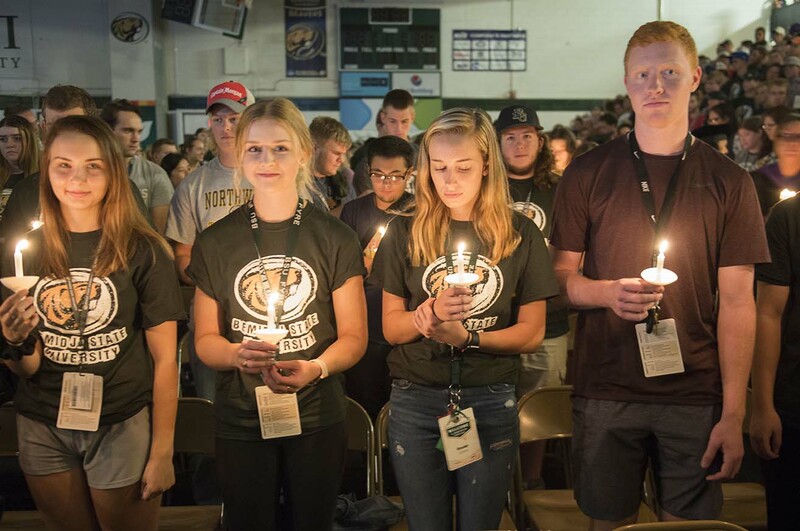 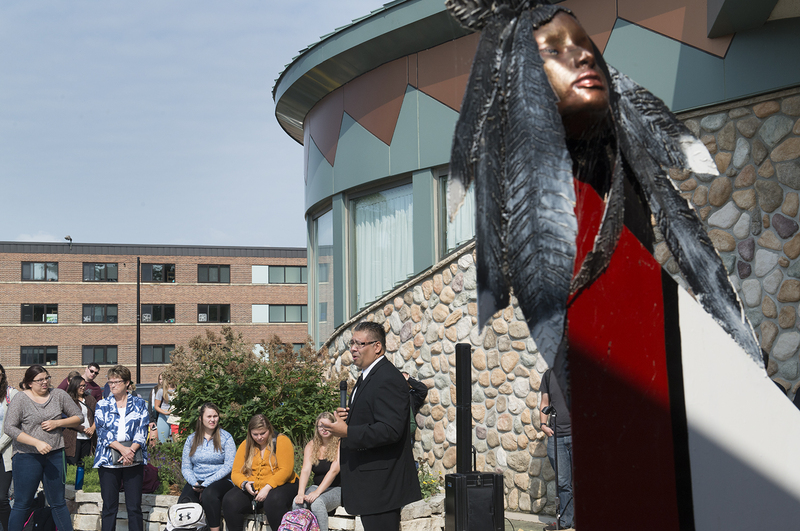 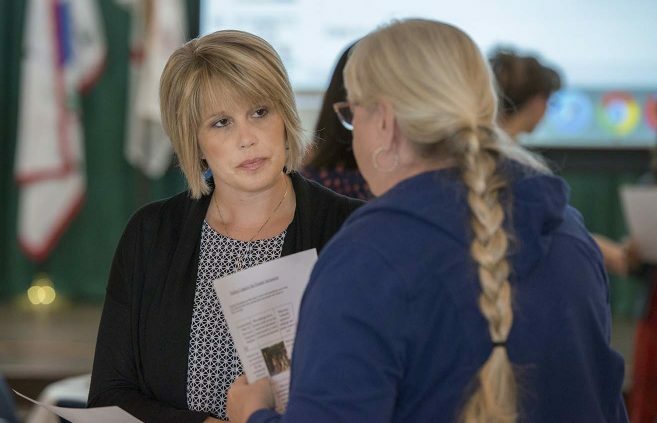 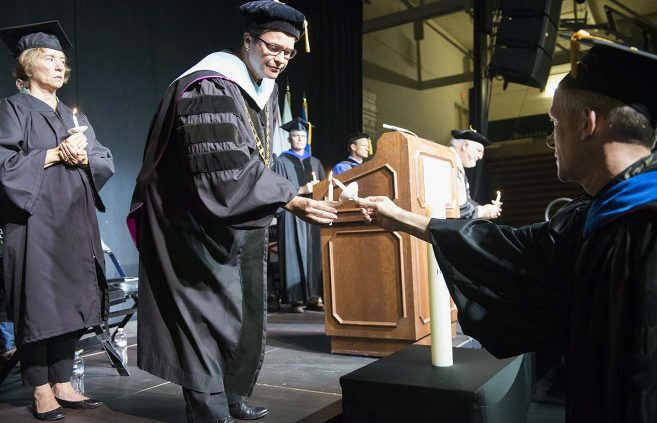 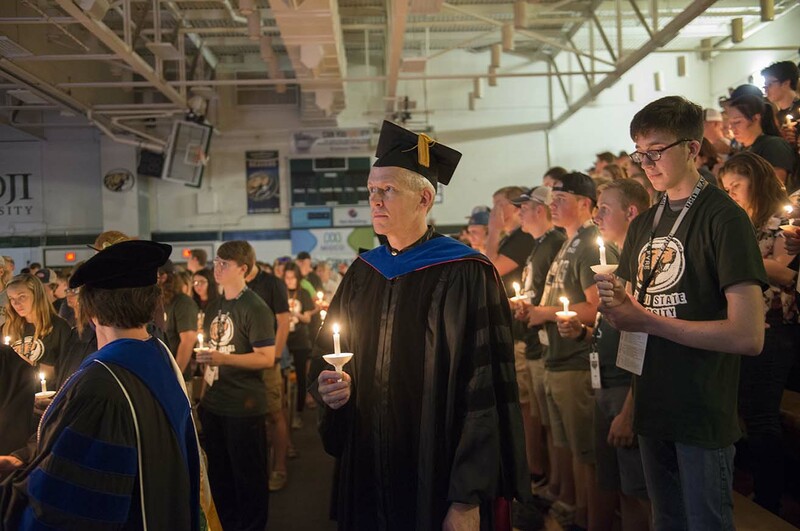 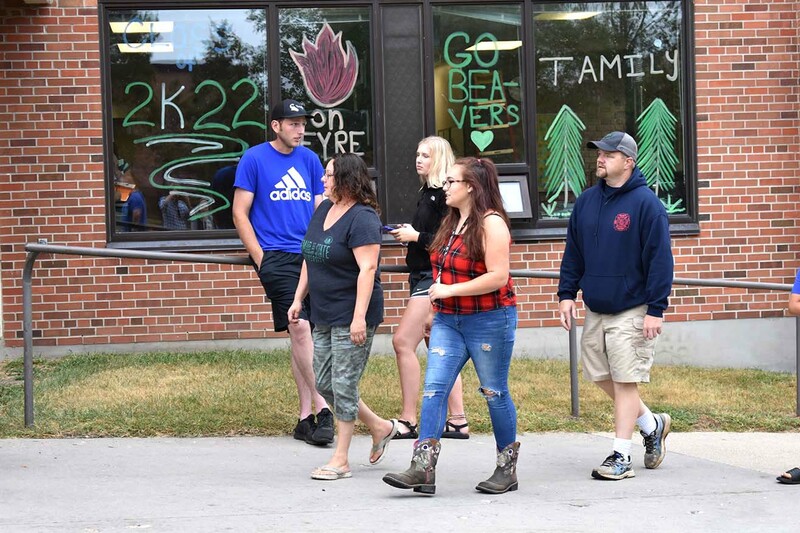 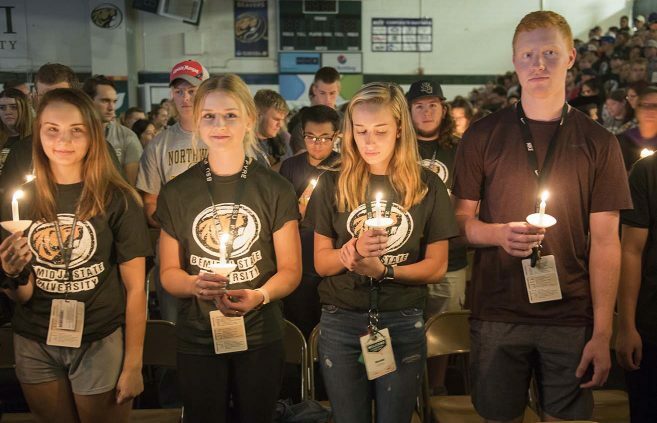 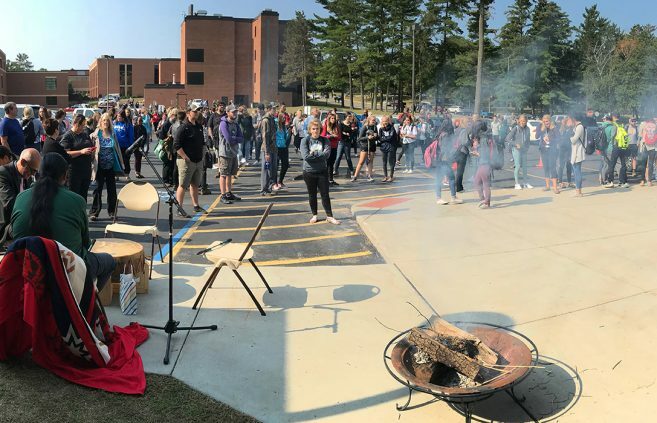 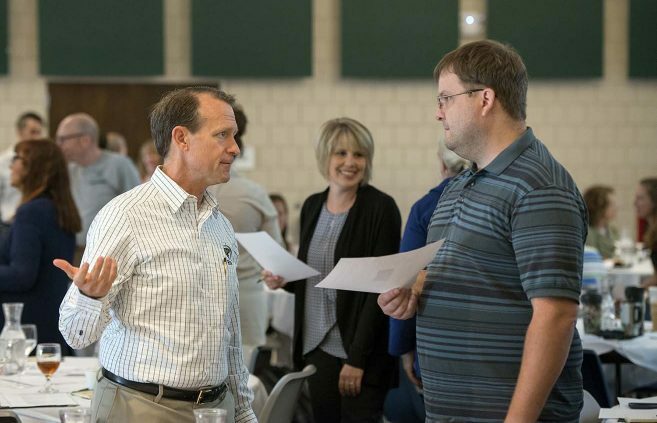 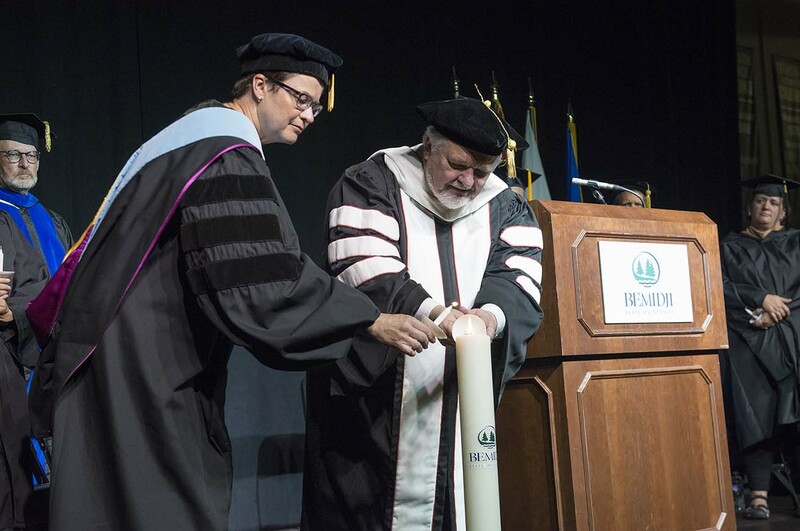 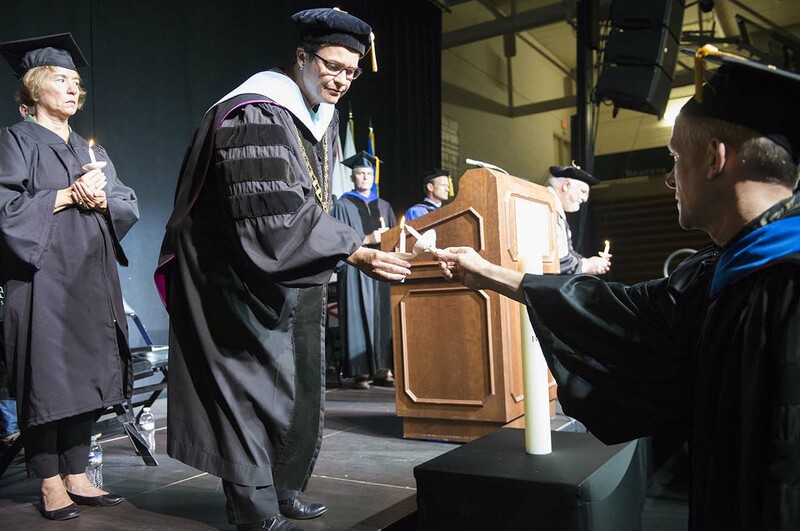 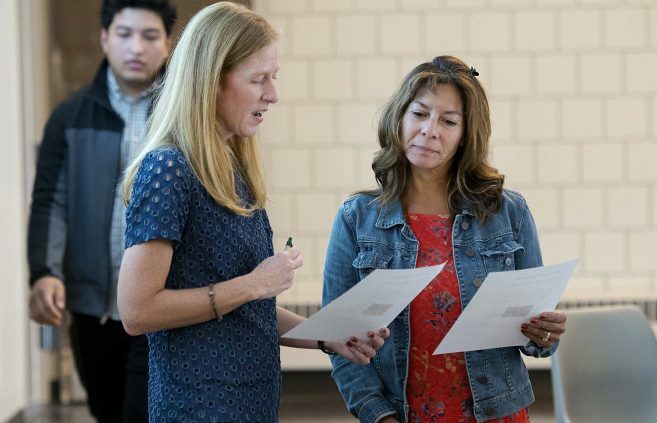 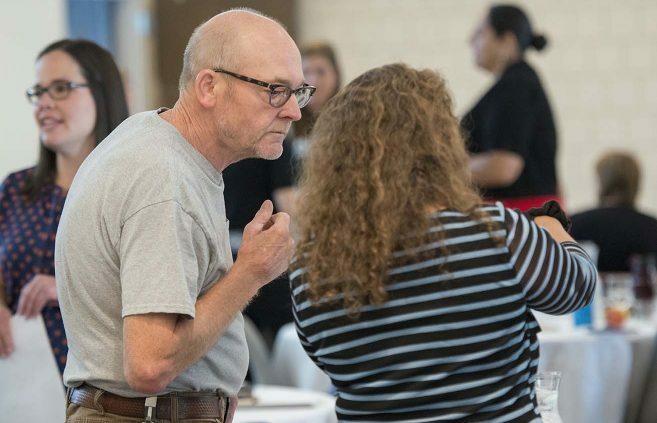 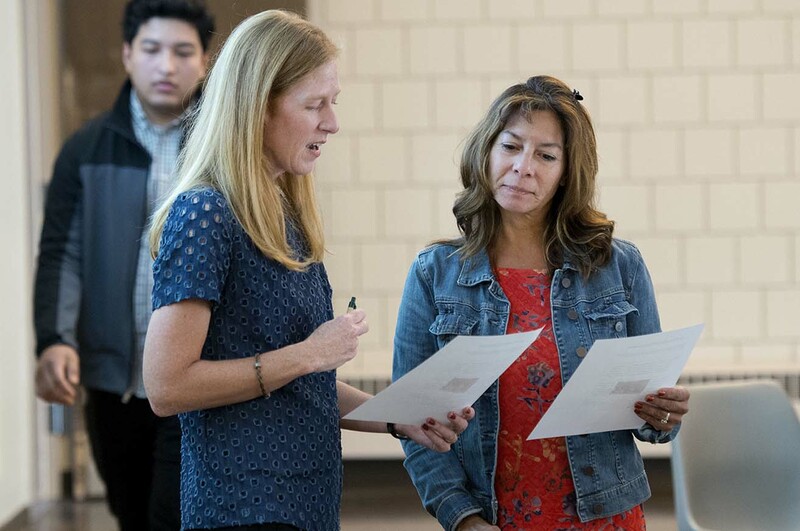 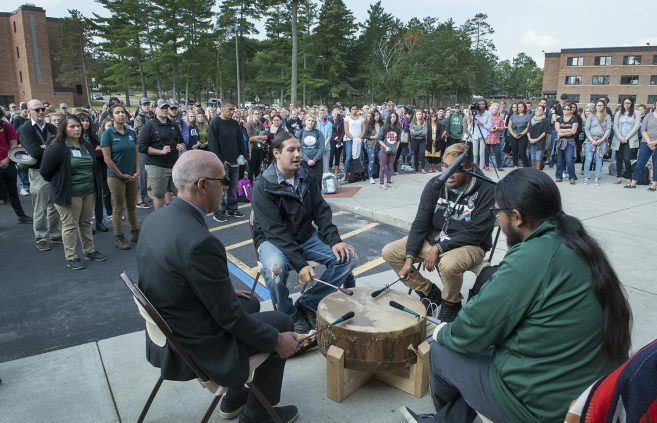 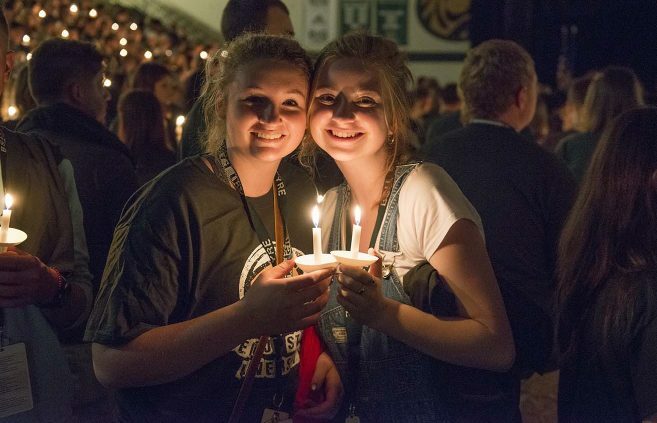 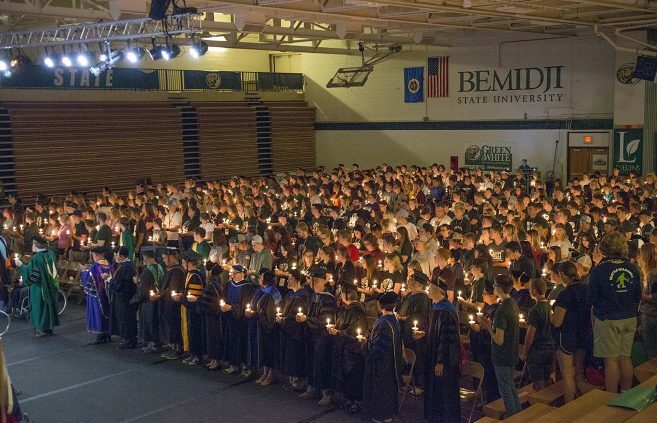 Faculty and staff help pass flames representing the transfer of knowledge to Bemidji State University’s Class of 2022. 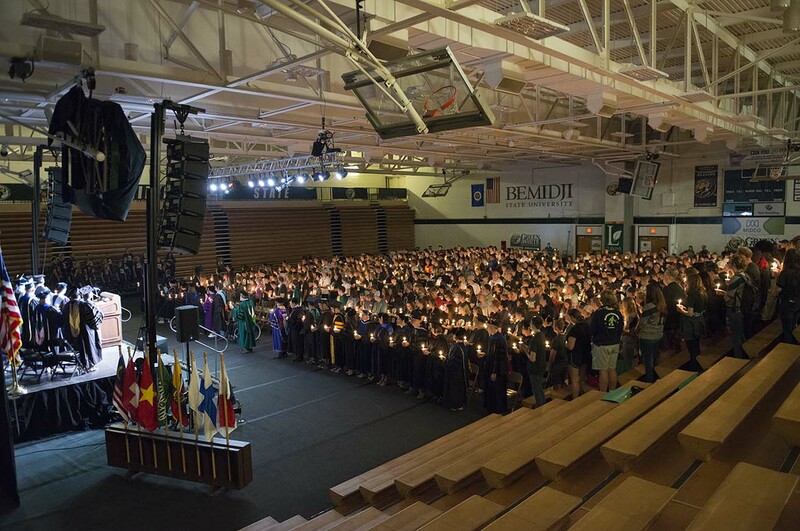 The university’s traditional Convocation ceremony for new students was held Aug. 24 in the BSU Gymnasium. 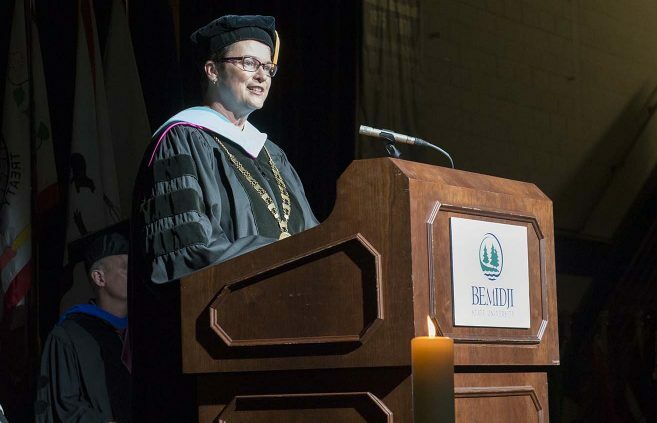 Bemidji State University’s Class of 2022 — the university’s 100th class of incoming students — gathered Aug. 24 in the BSU Gymnasium for the annual new student Convocation ceremony. 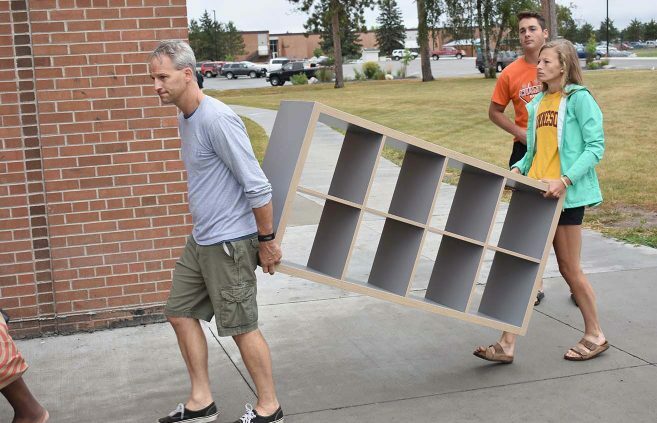 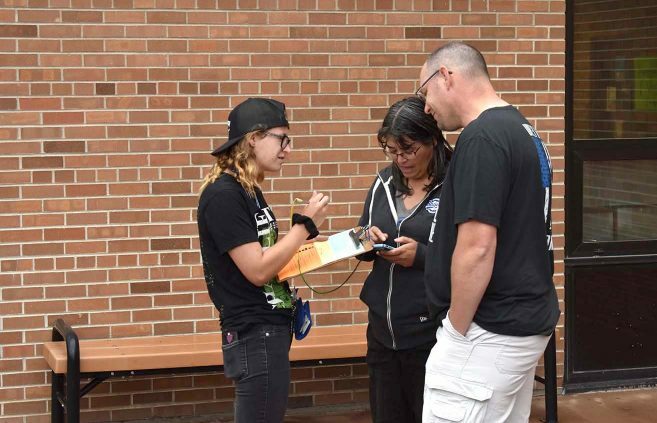 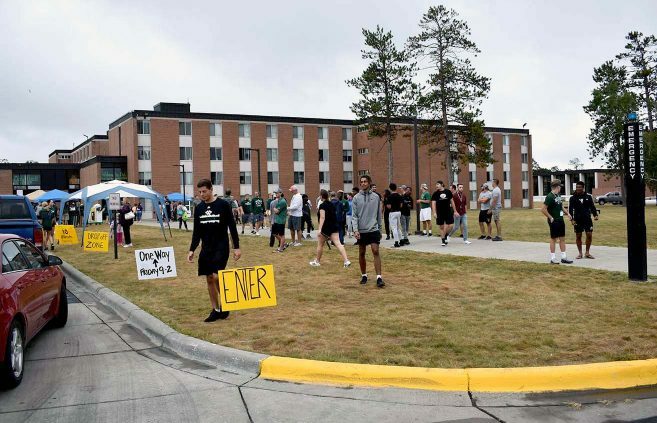 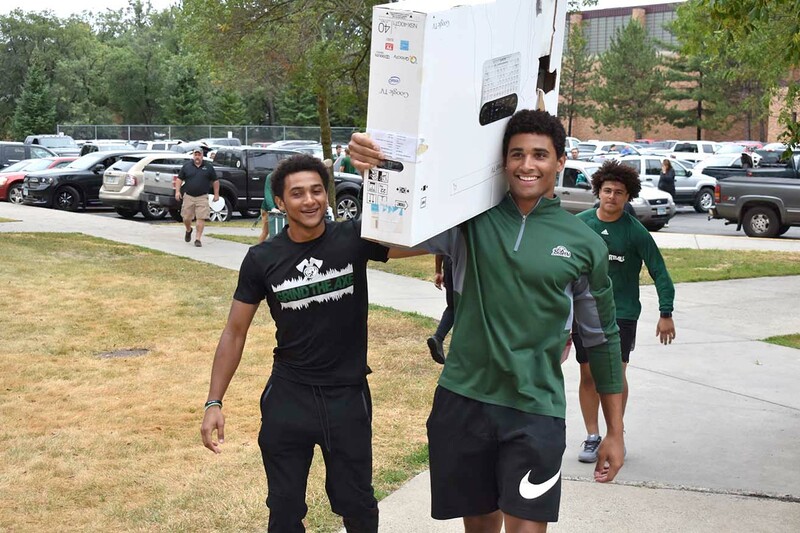 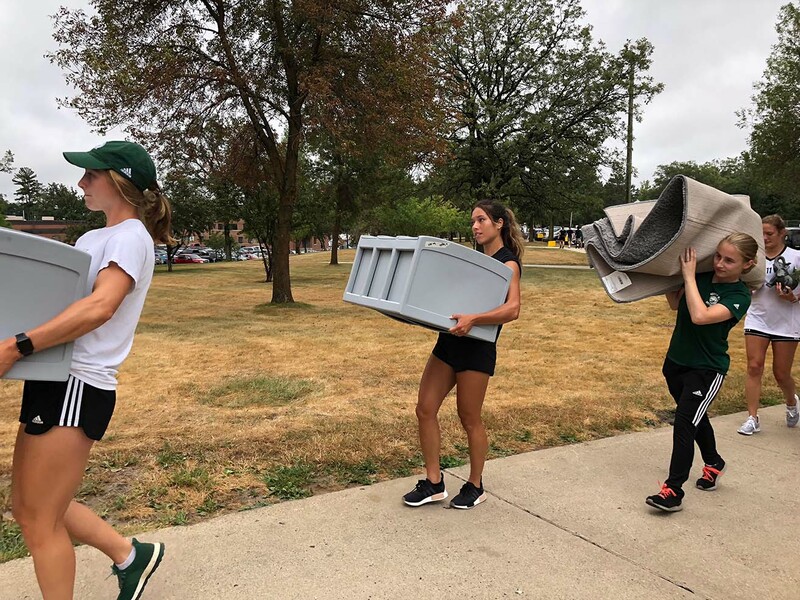 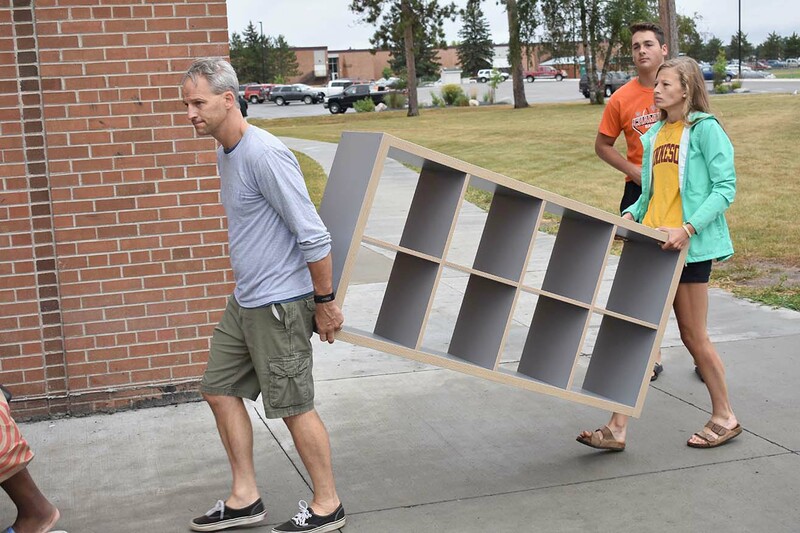 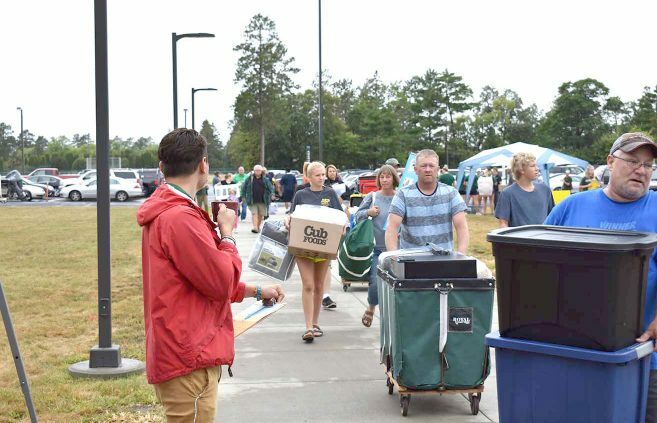 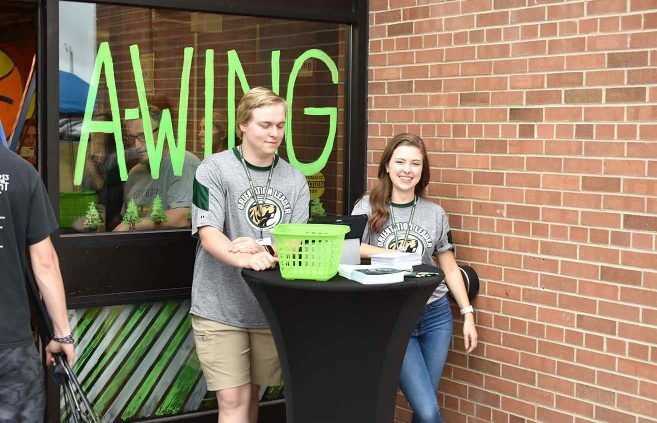 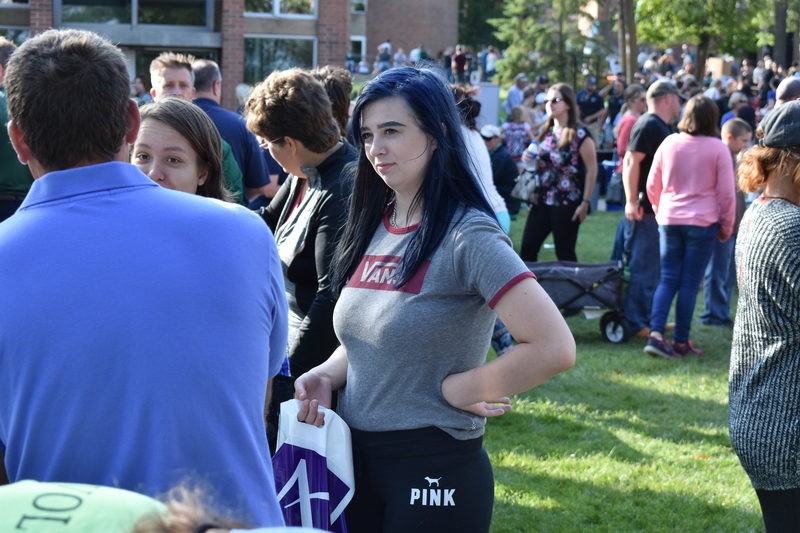 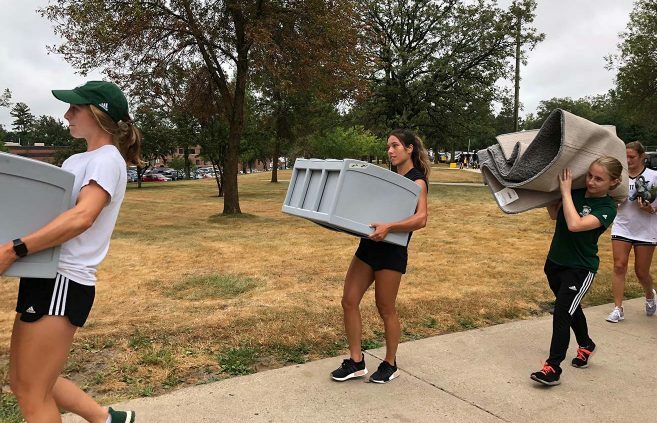 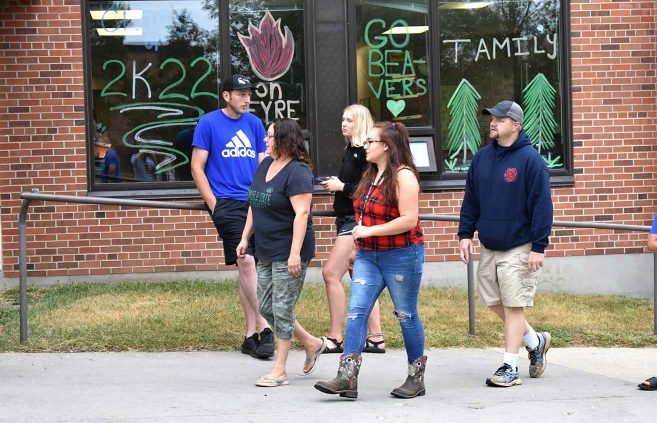 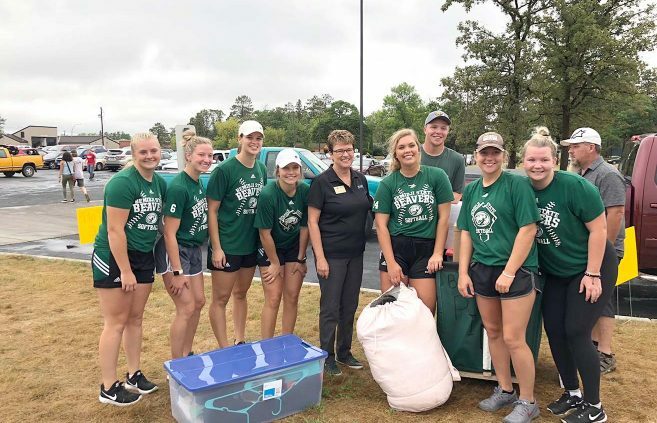 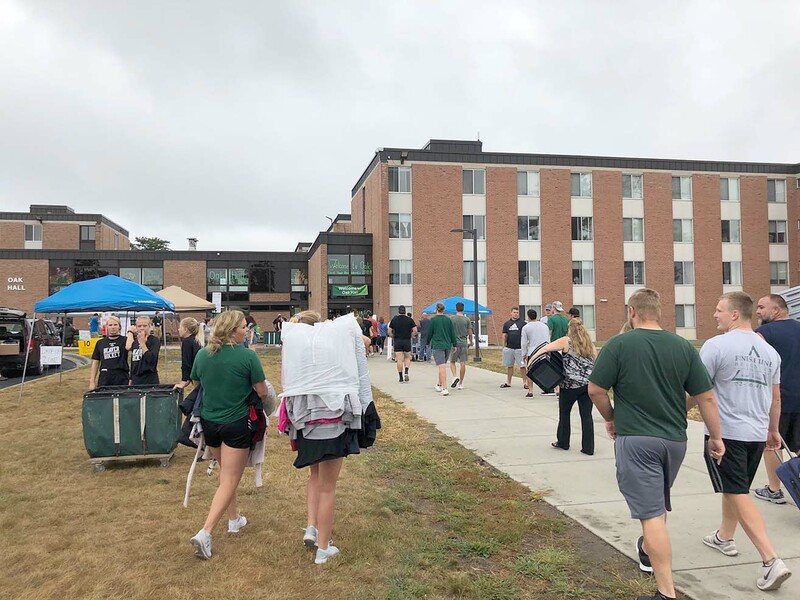 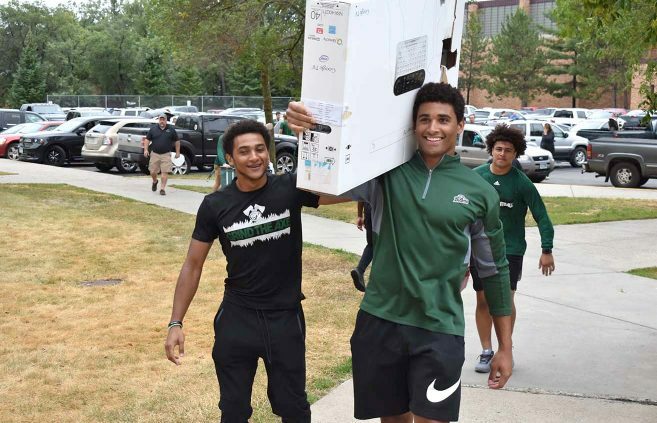 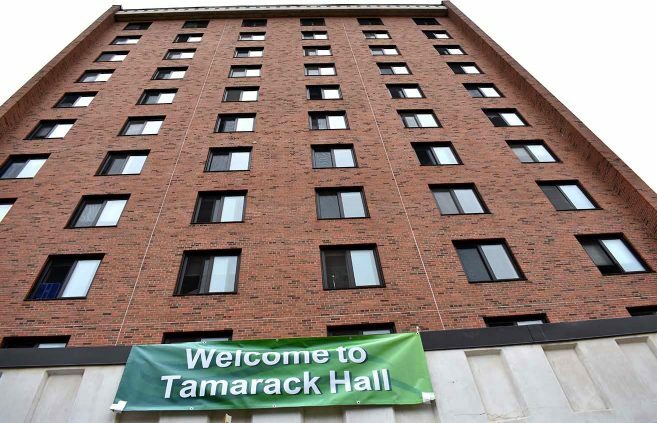 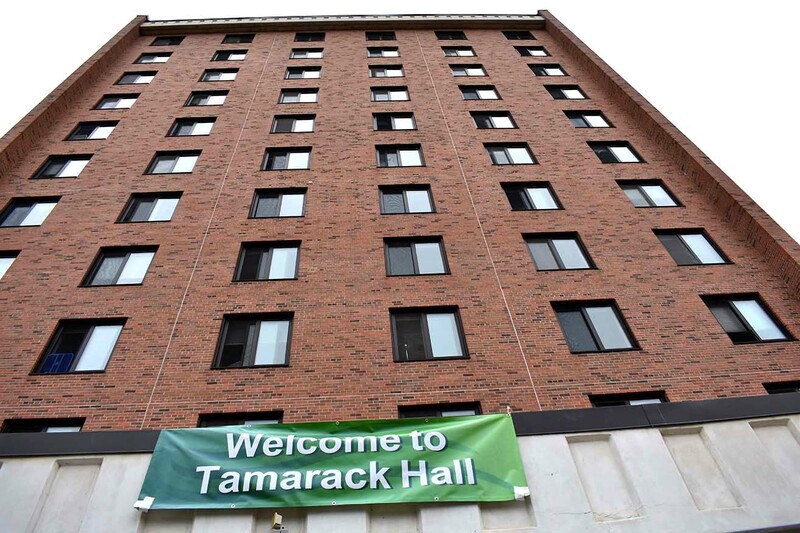 Hundreds of new Bemidji State University students moved into their new homes in Oak and Tamarack halls and began their adventures as the university’s 100th incoming class. Dr. 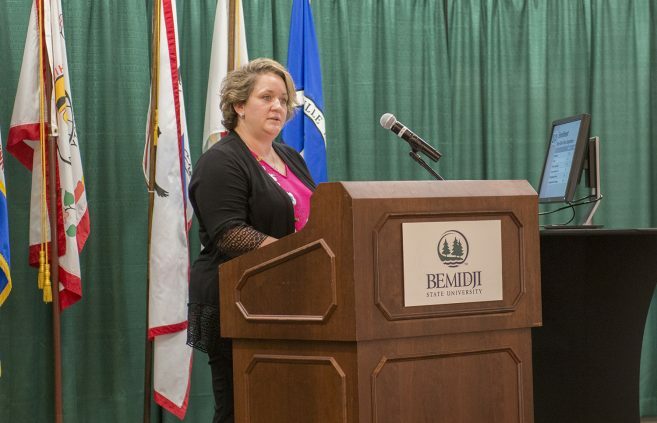 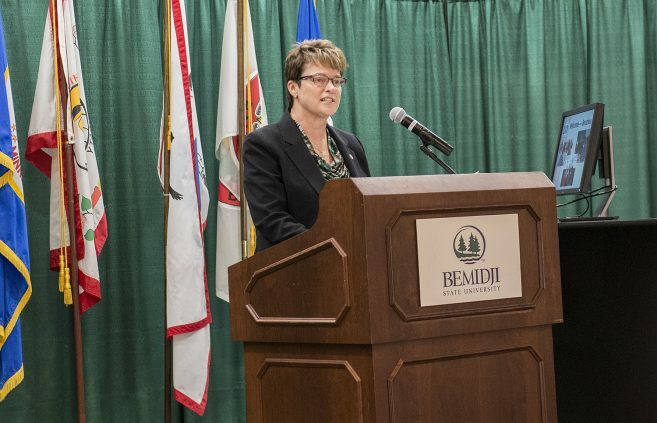 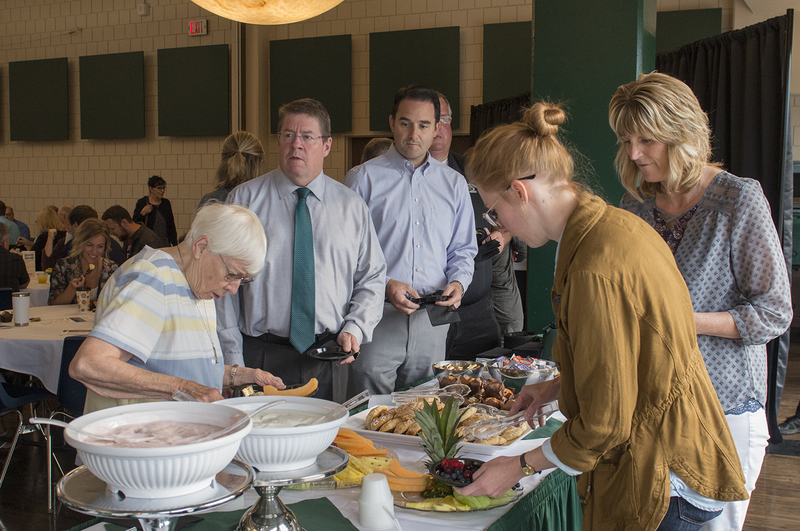 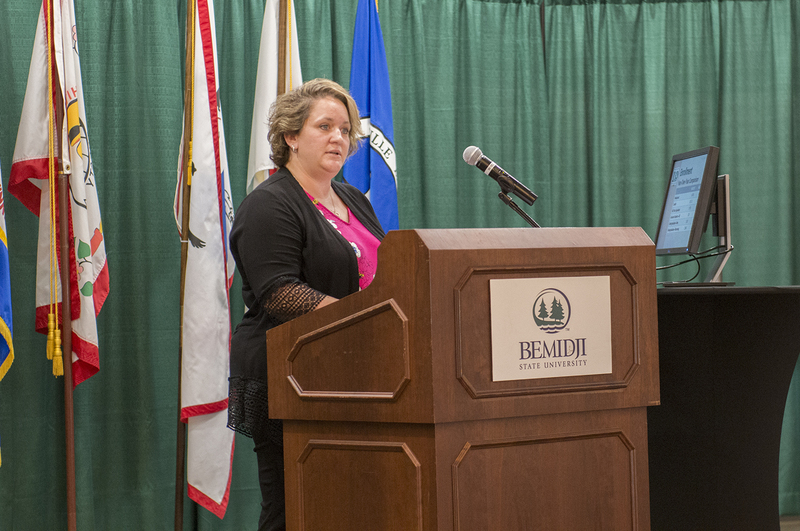 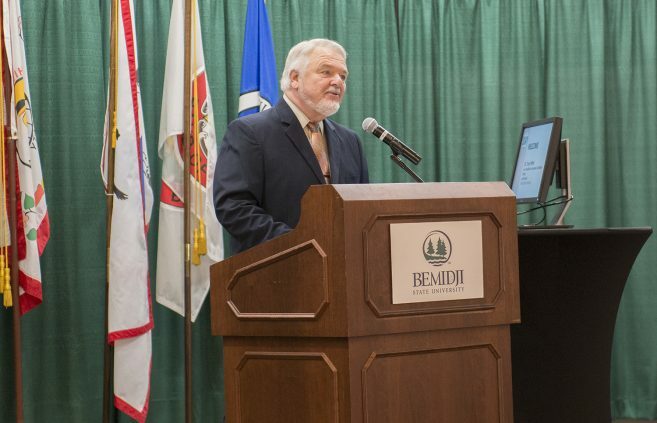 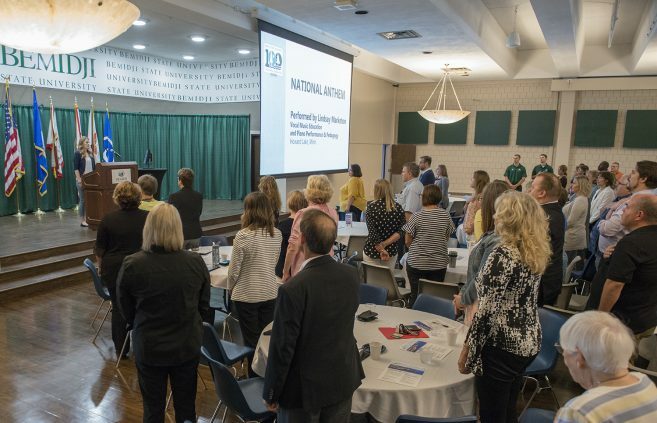 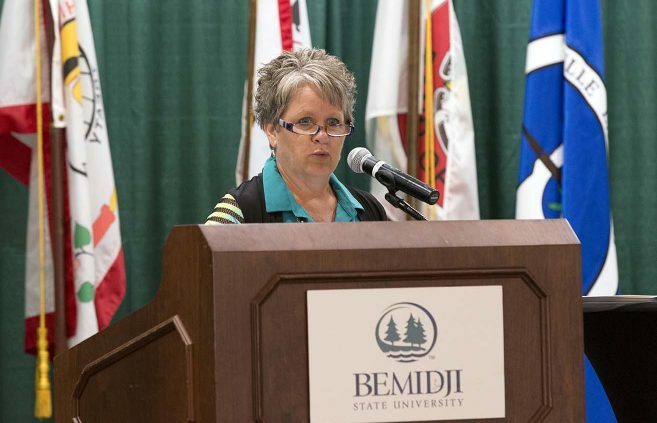 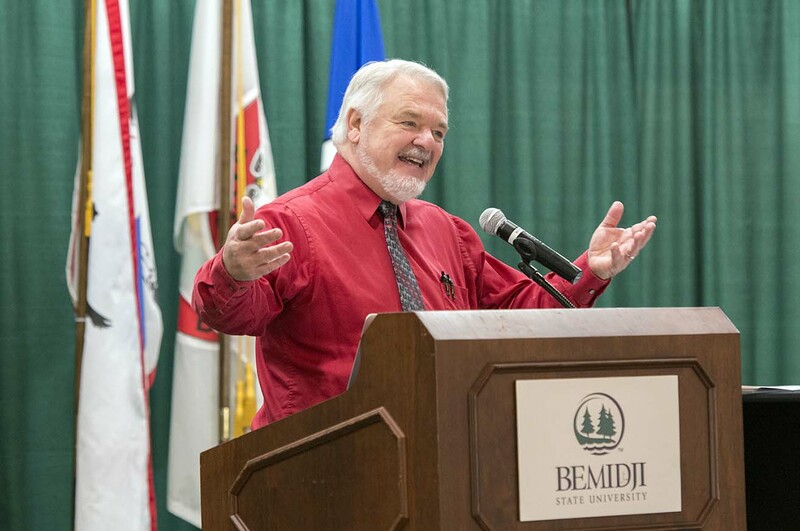 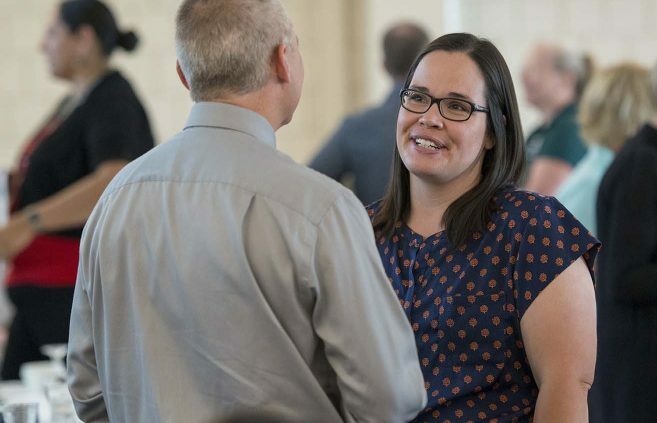 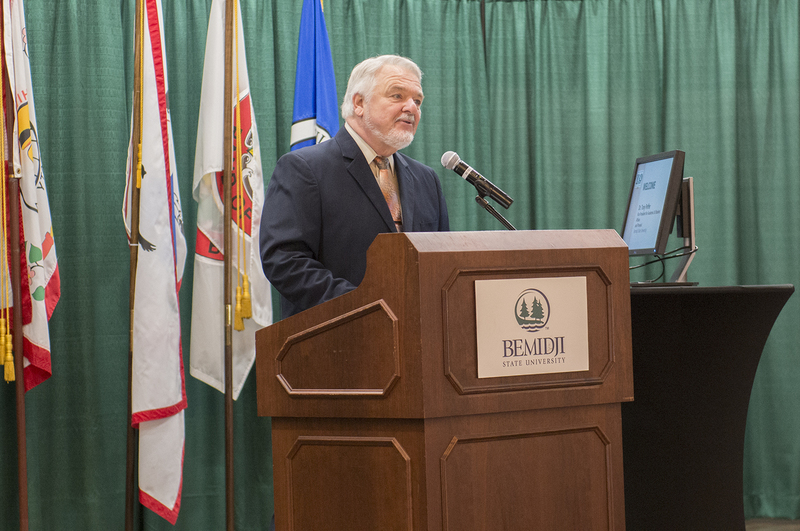 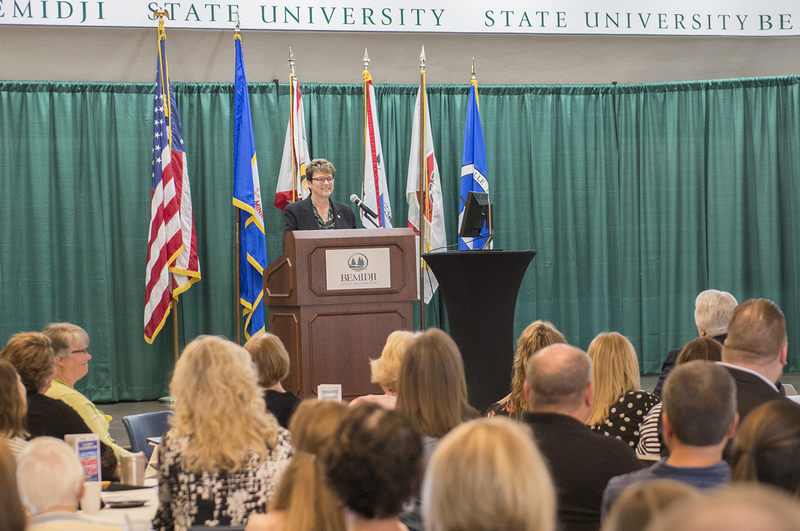 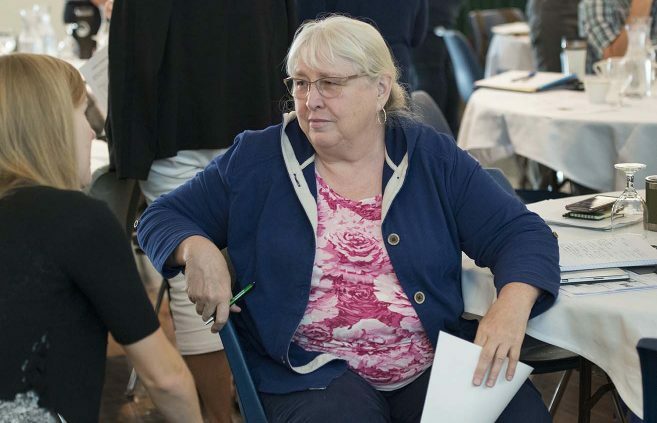 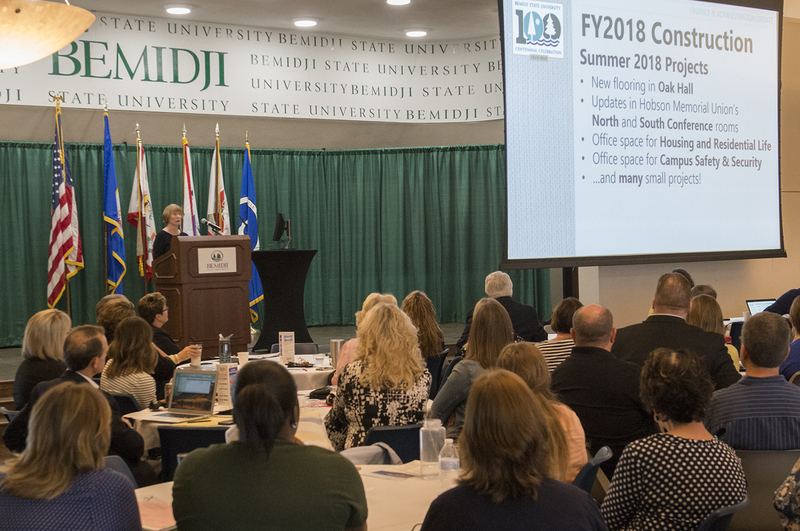 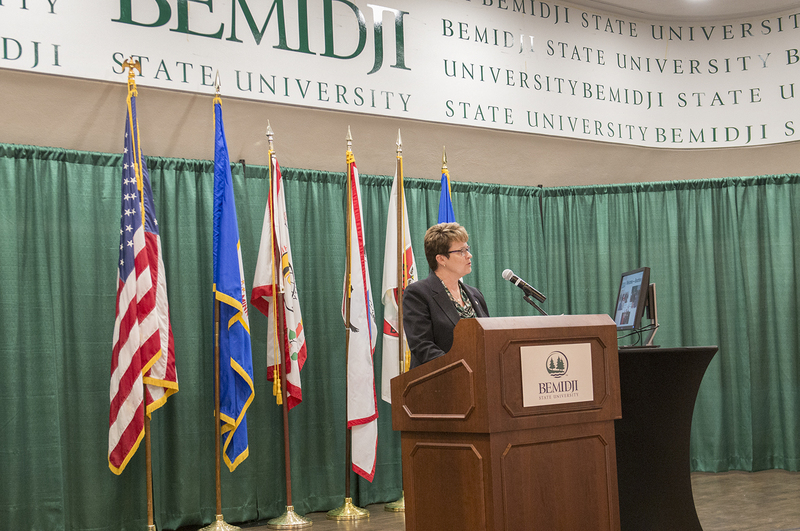 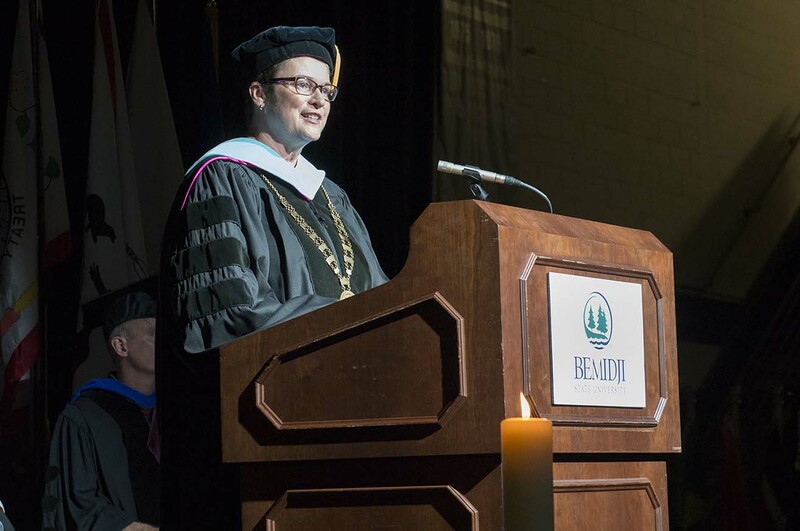 Faith Hensrud, president of Bemidji State University and Northwest Technical College, officially kicked off Bemidji State’s 2018-19 academic year at the President’s Welcome Breakfast. 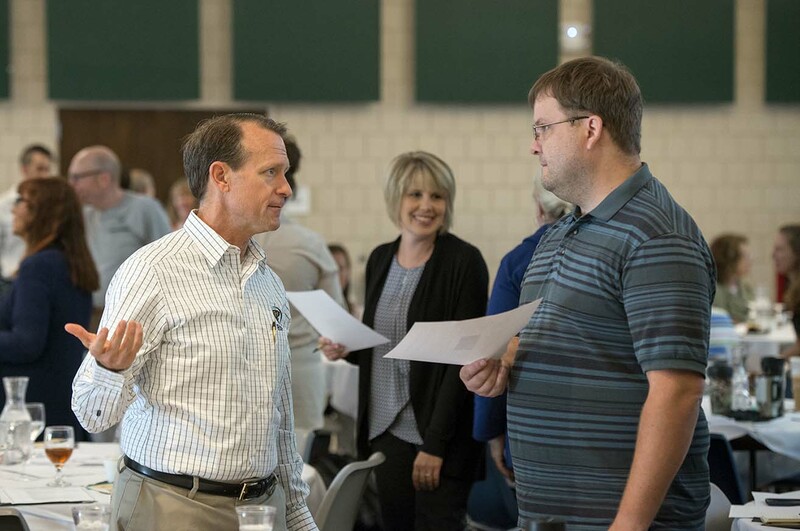 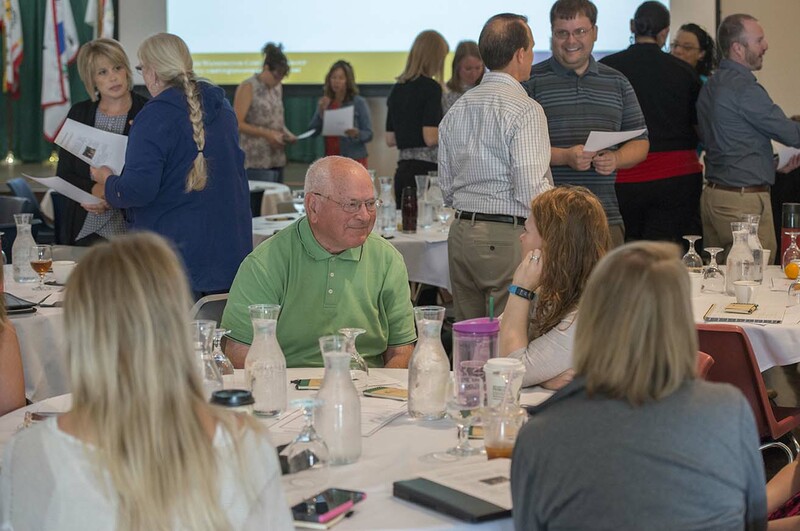 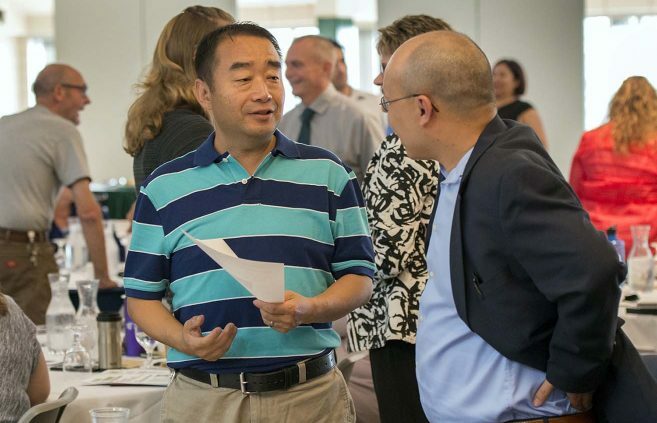 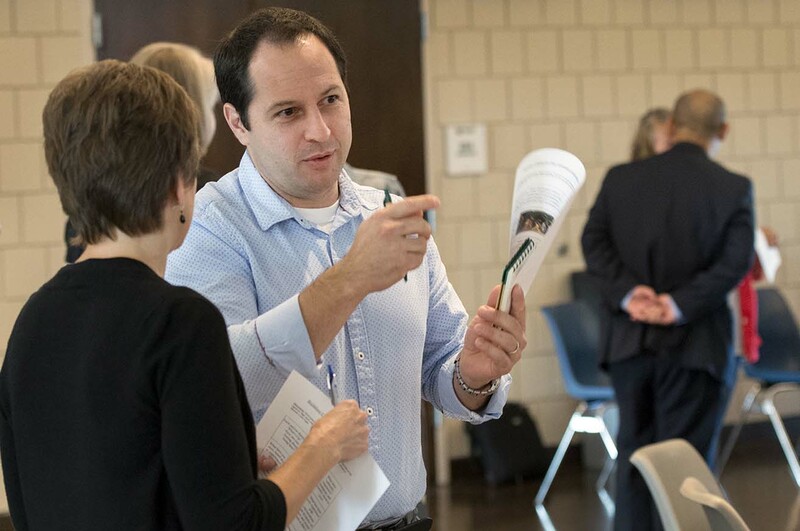 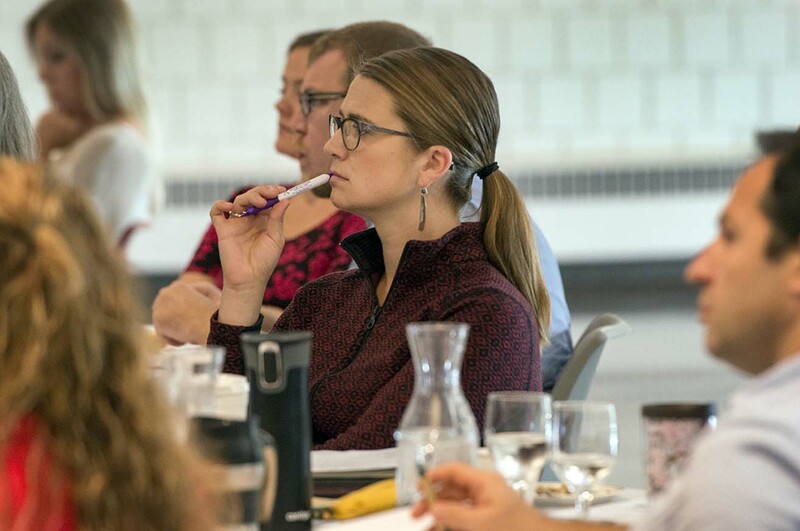 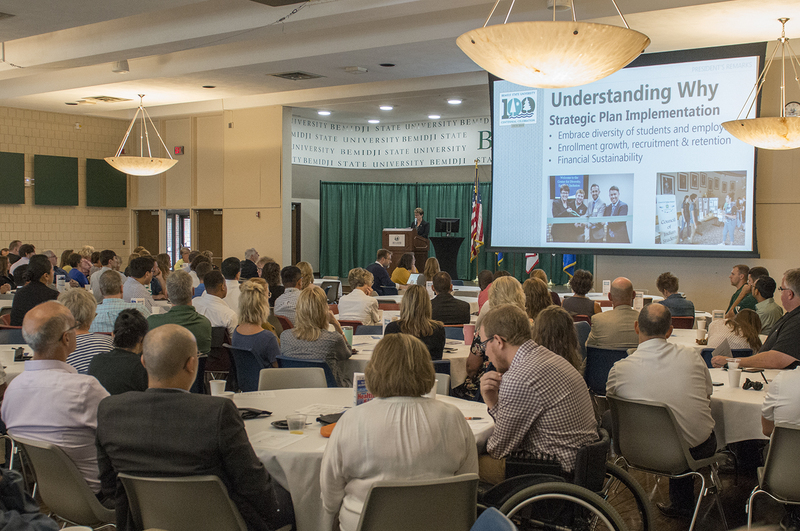 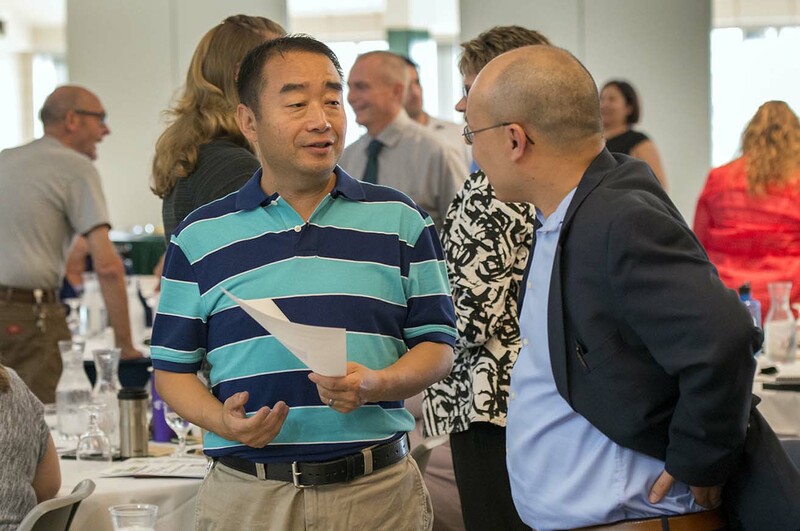 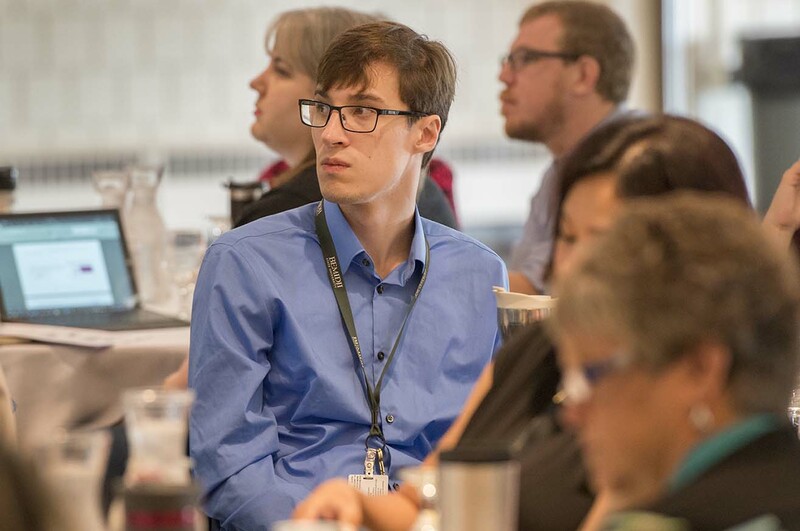 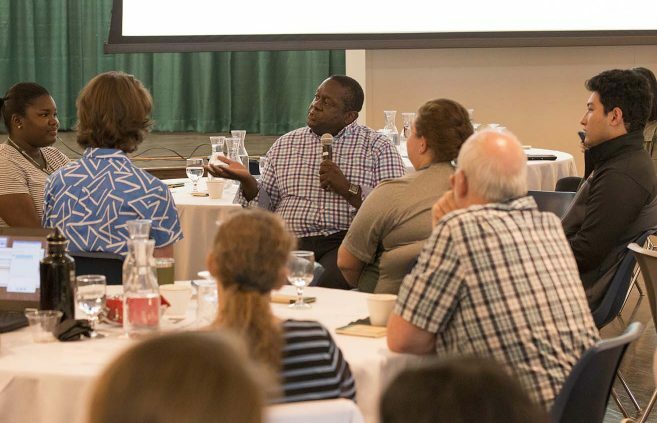 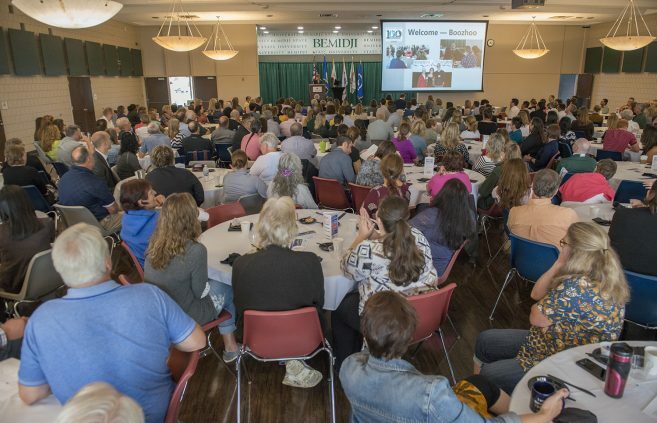 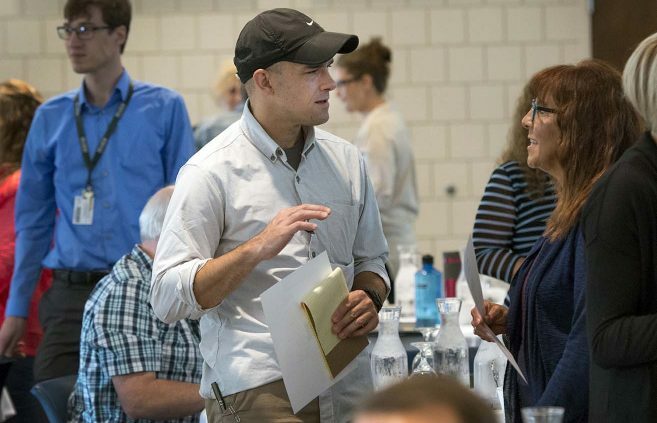 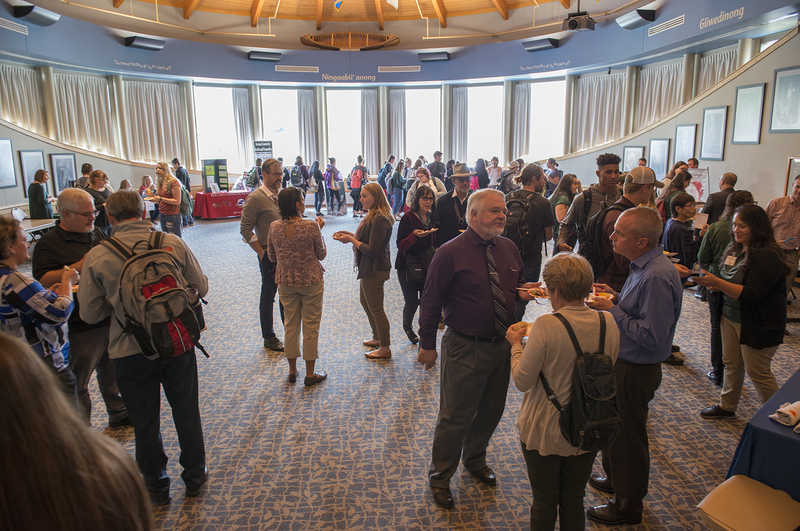 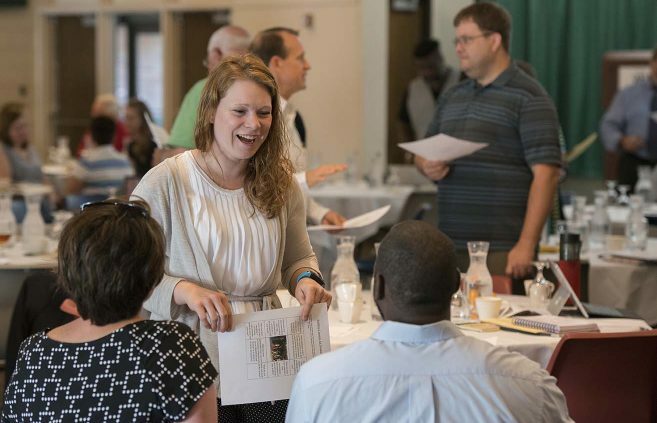 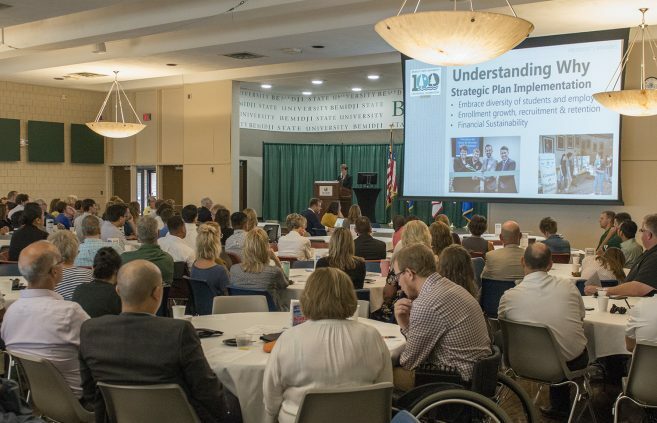 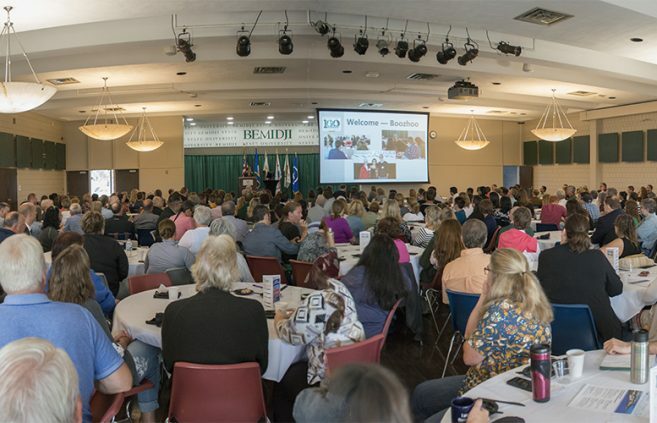 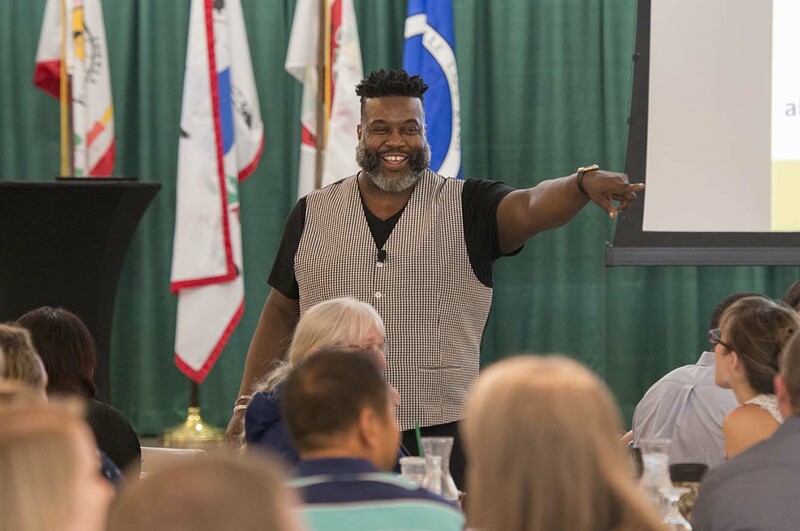 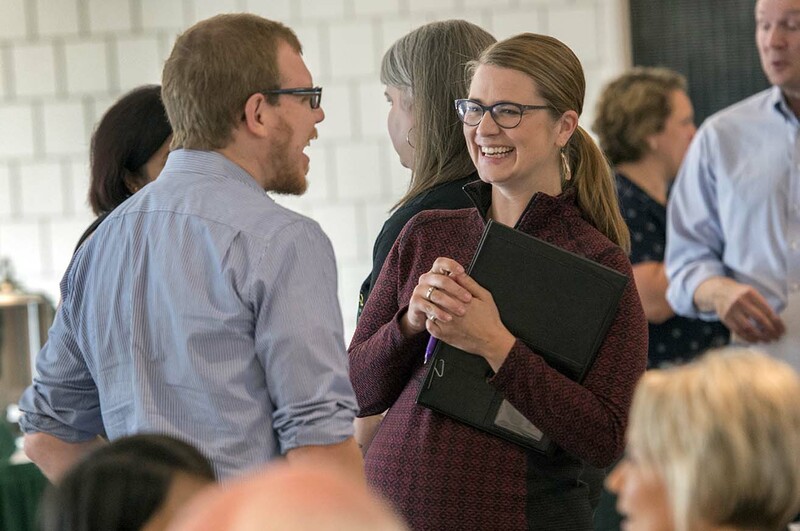 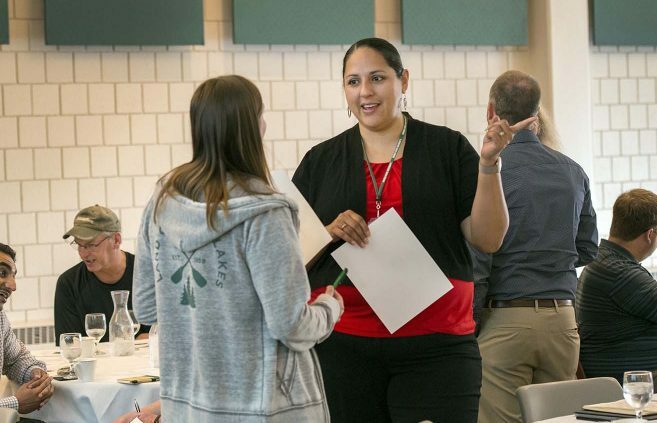 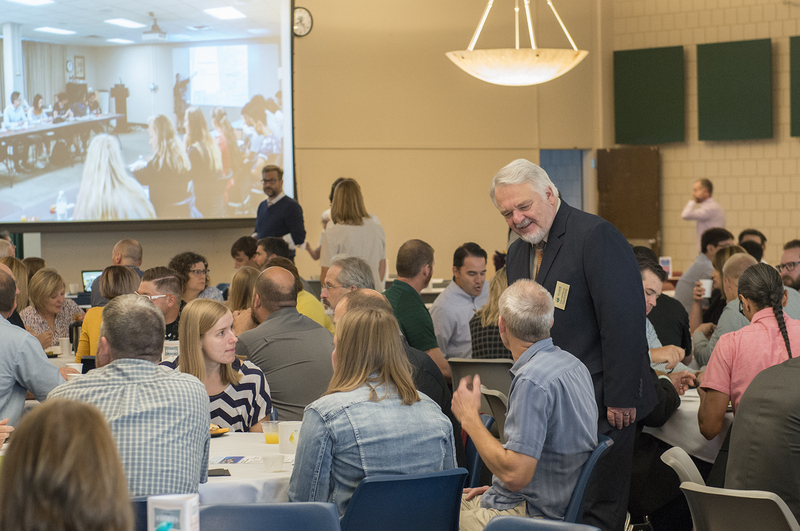 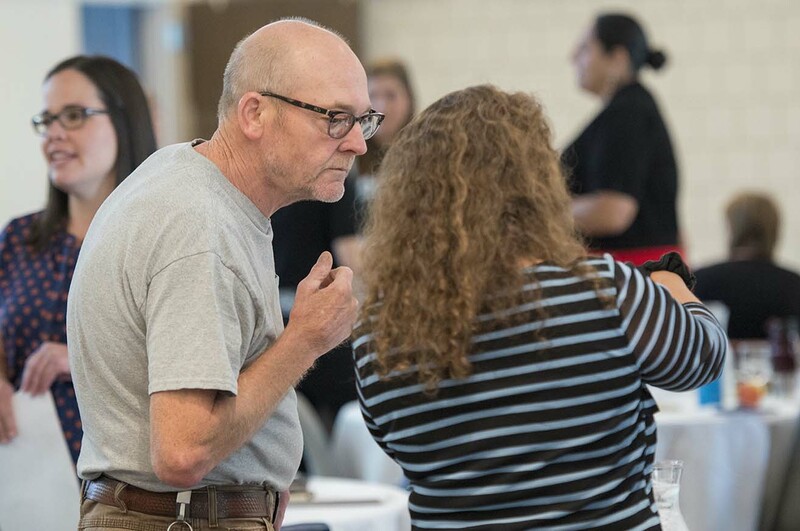 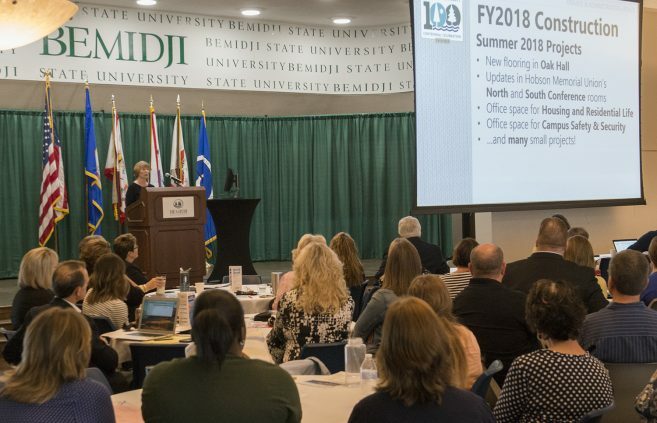 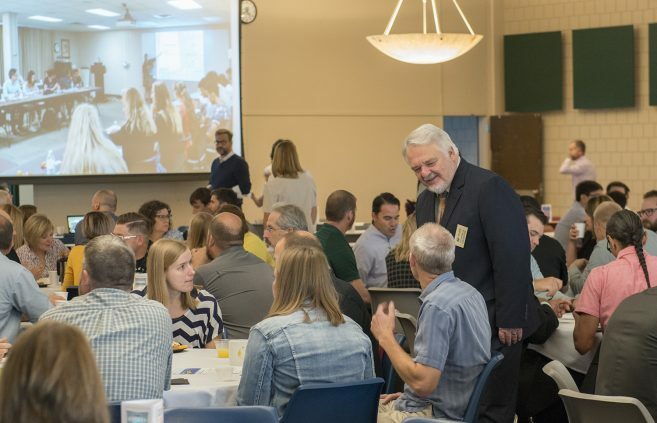 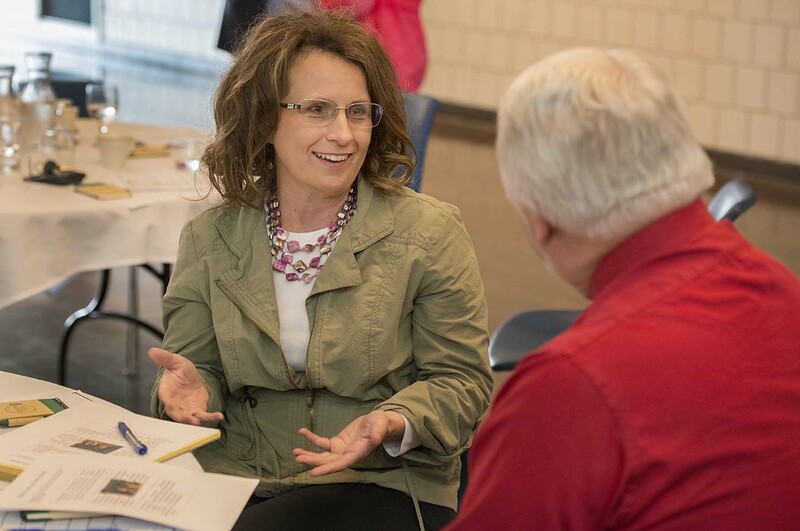 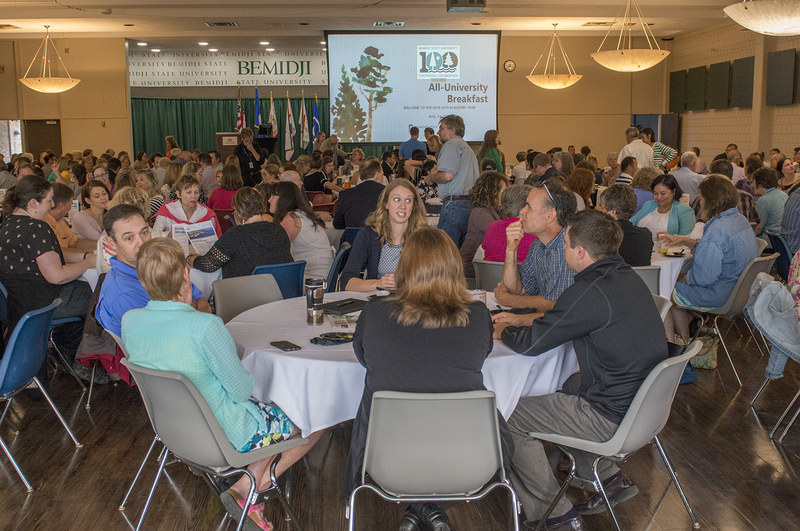 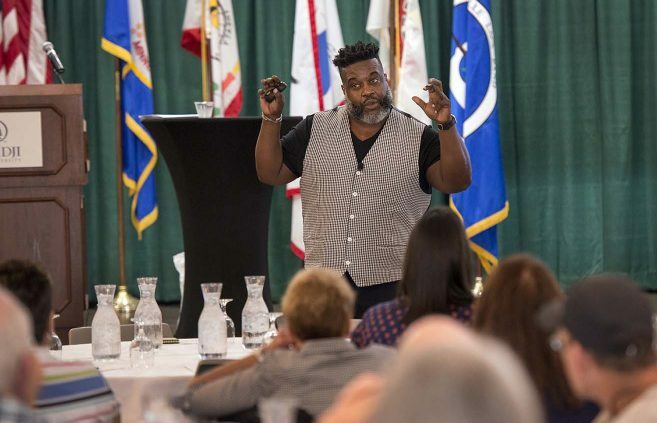 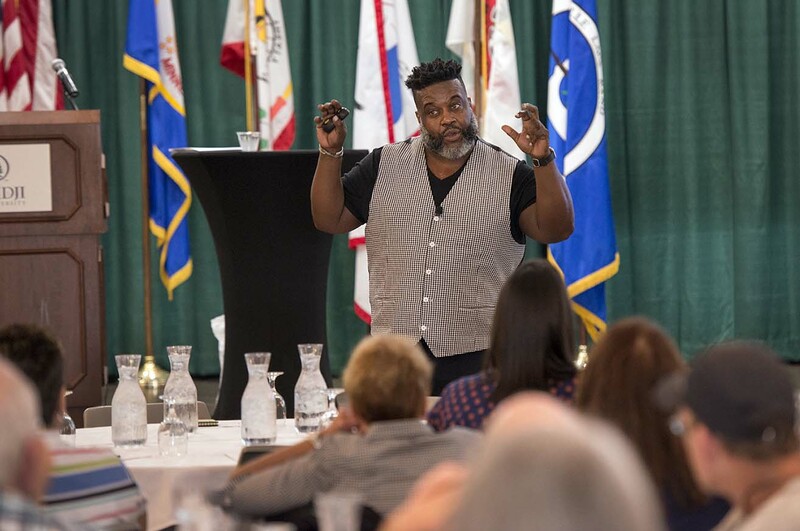 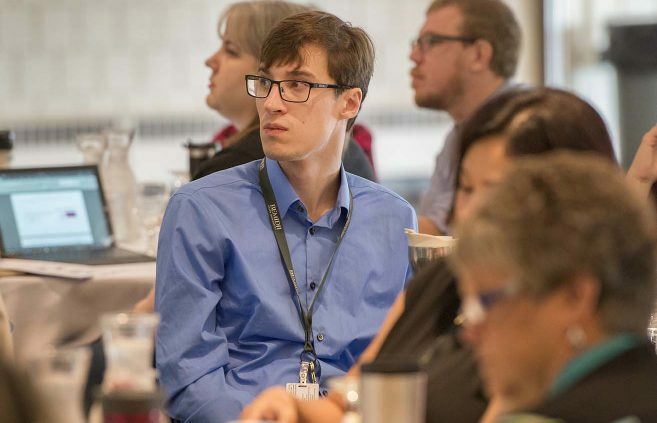 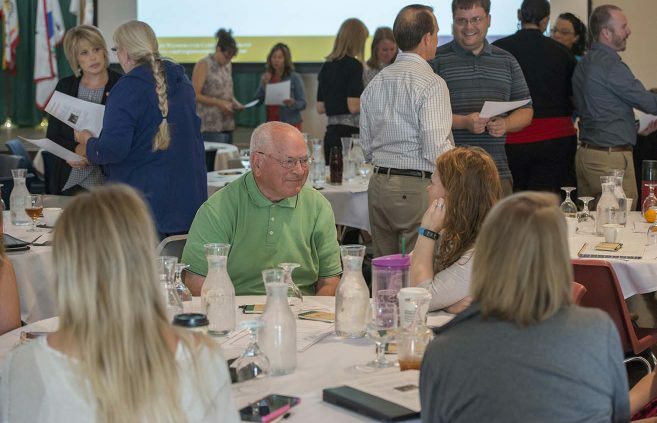 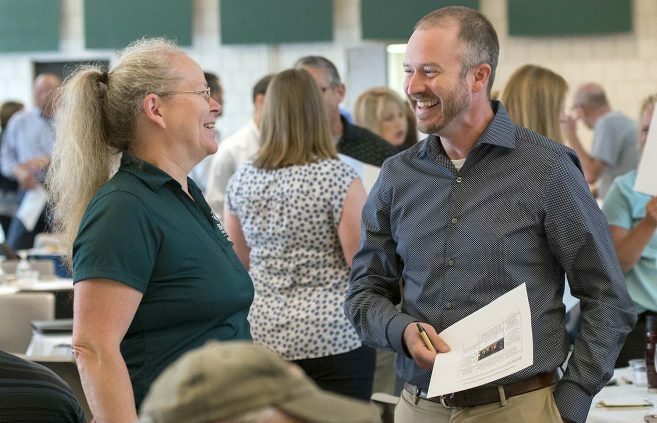 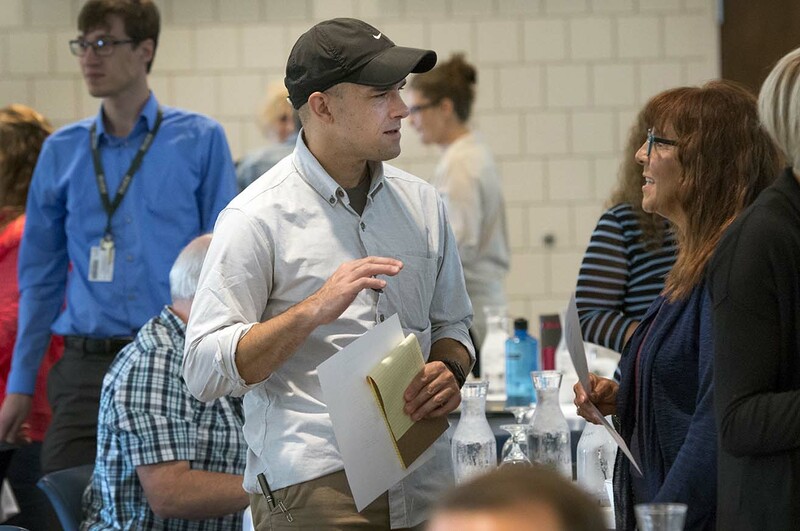 Bemidji State University’s Center for Professional Development welcomed faculty back to campus with the inaugural BSU TODAY! 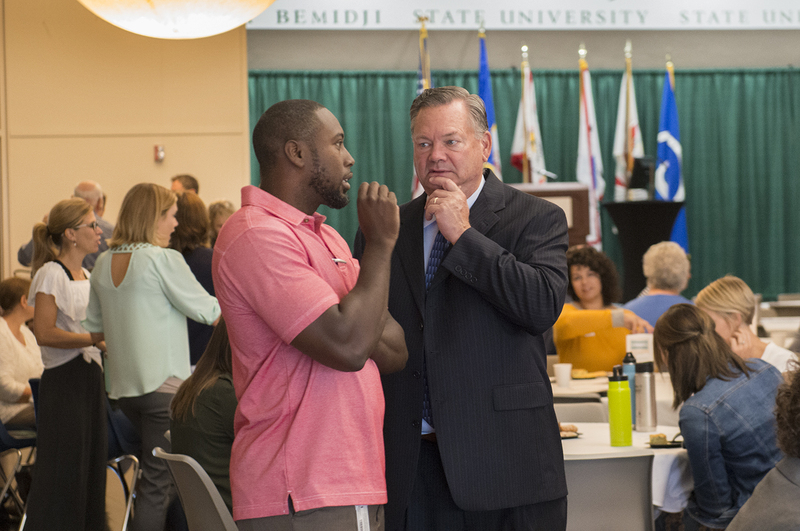 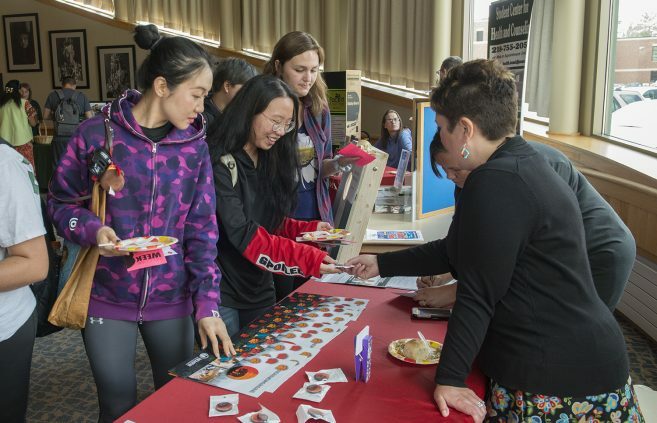 mini-conference, a day-long event featuring presentations from BSU faculty on students and factors affecting their success in college. 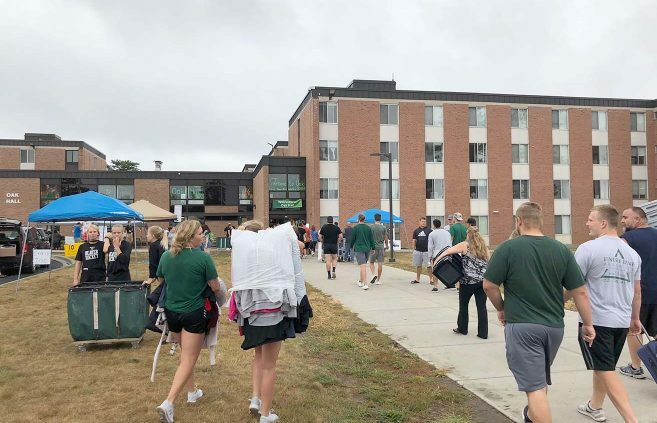 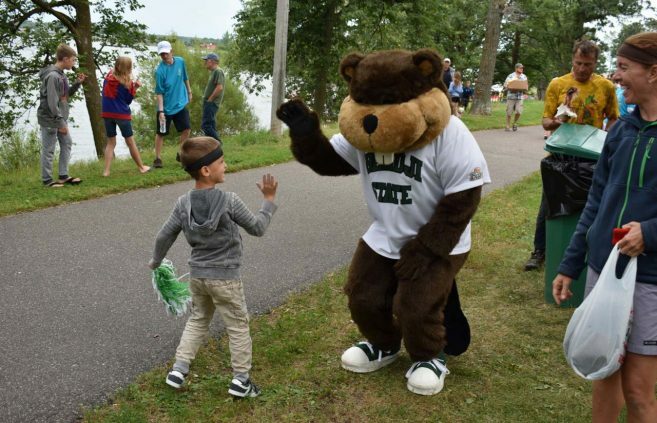 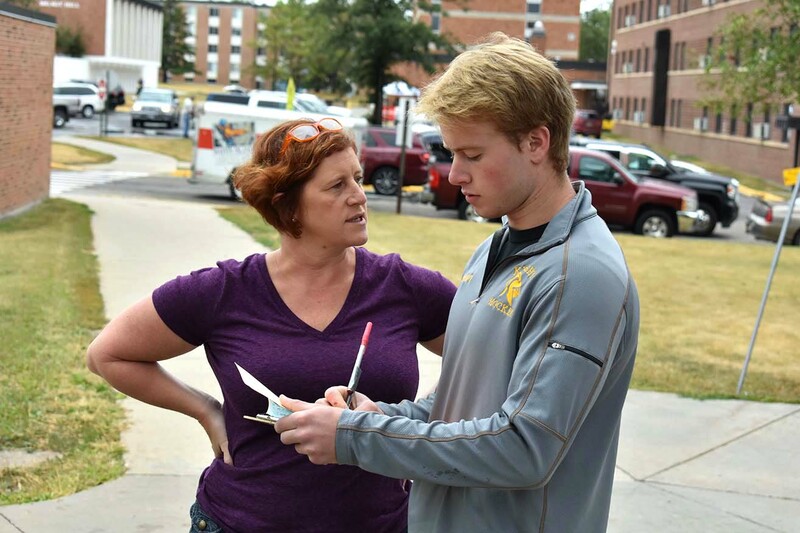 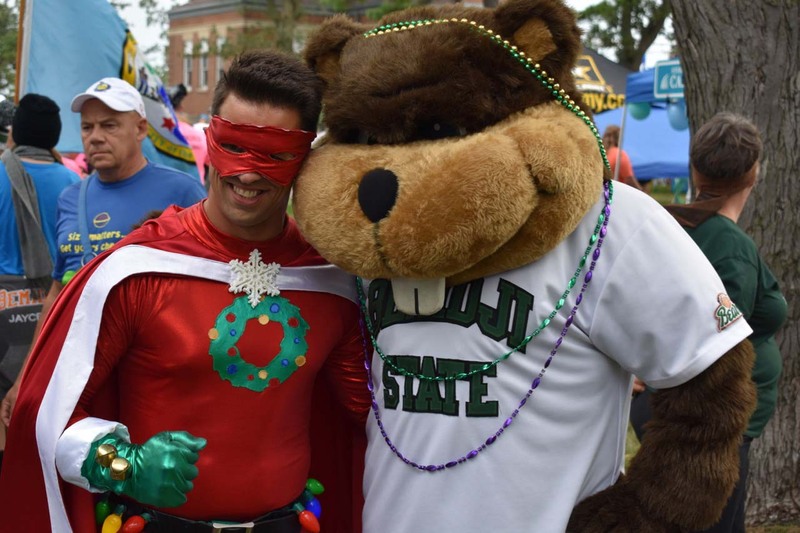 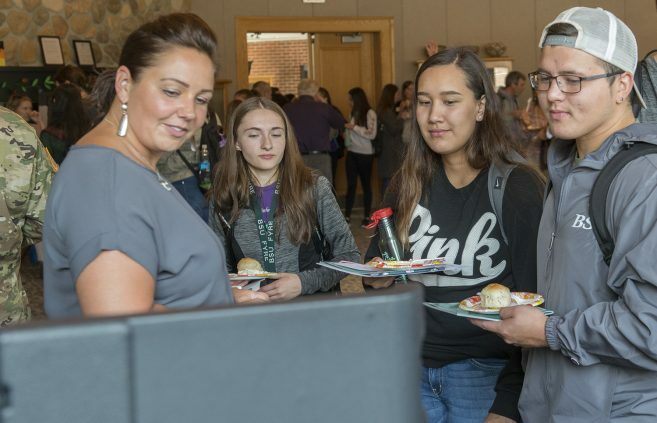 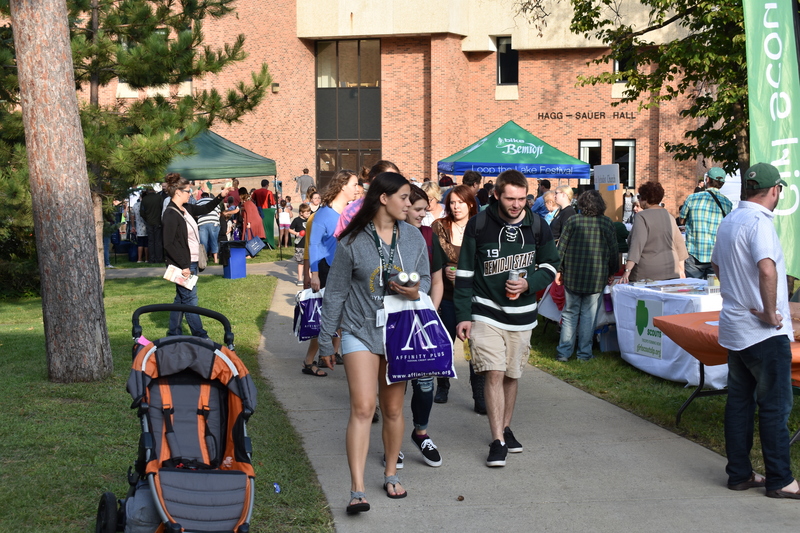 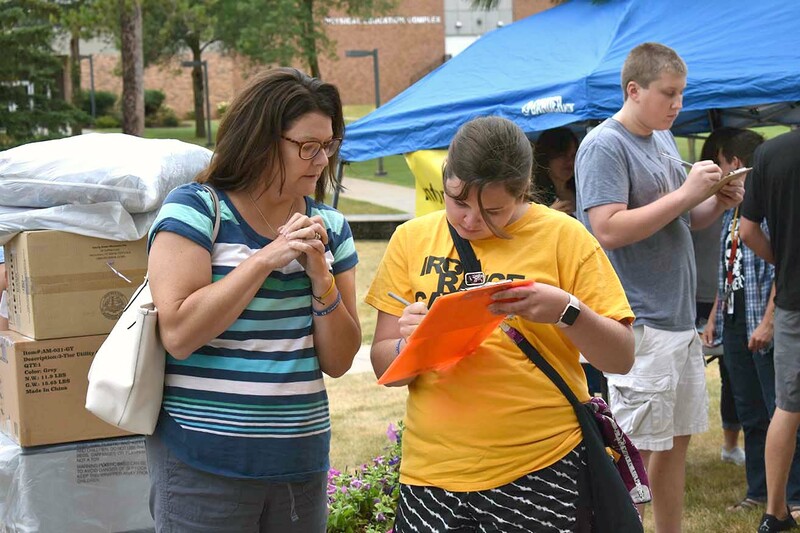 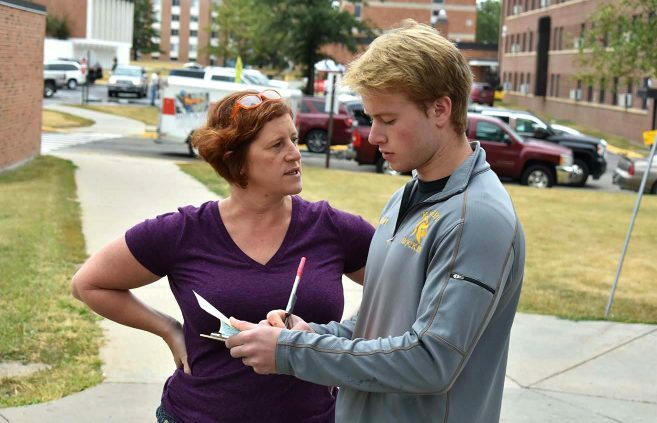 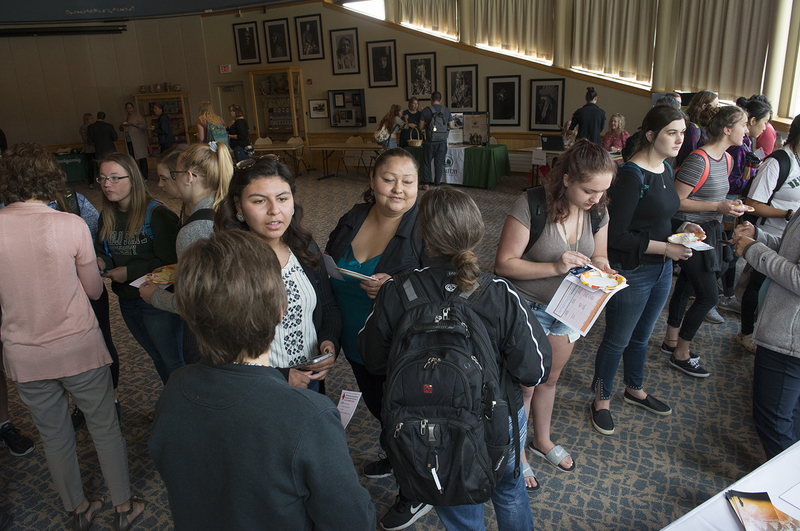 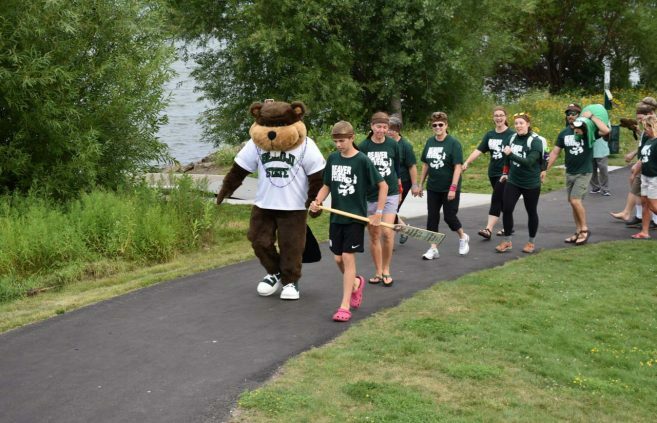 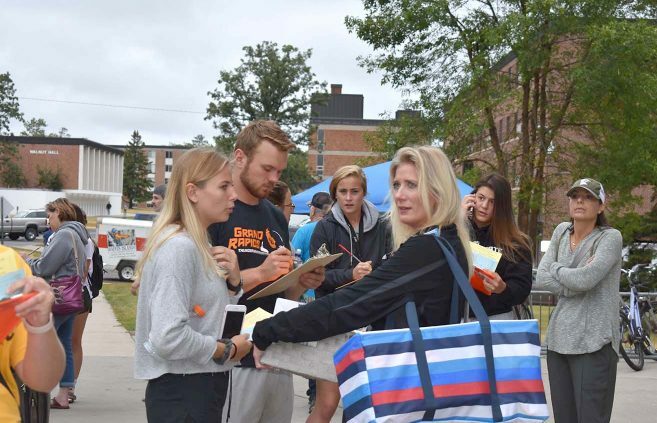 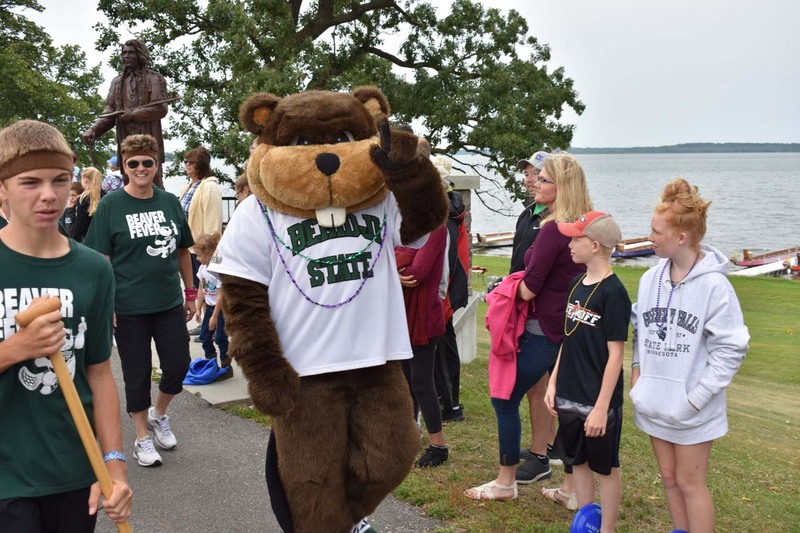 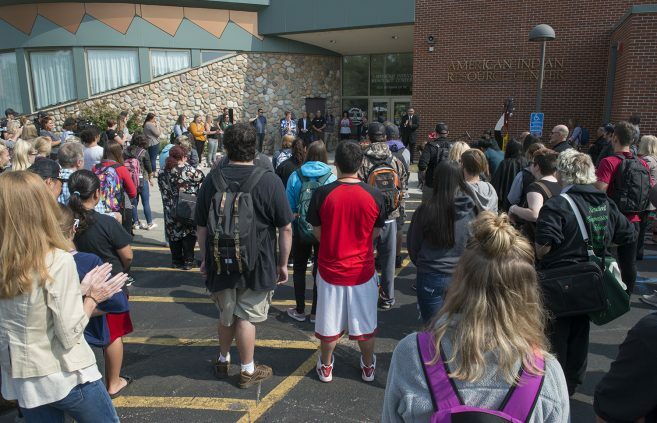 Bemidji State University’s Class of 2022, which includes a freshman class expected to number around 750 students, will get its first taste of college at BSU’s Orientation weekend, Aug. 24-26. 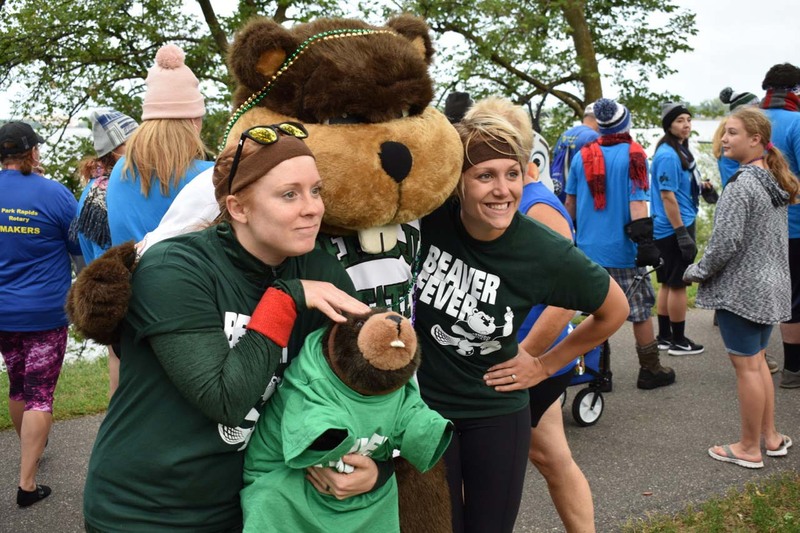 Beaver Fever takes a narrow victory in its second Sprint Cup race! 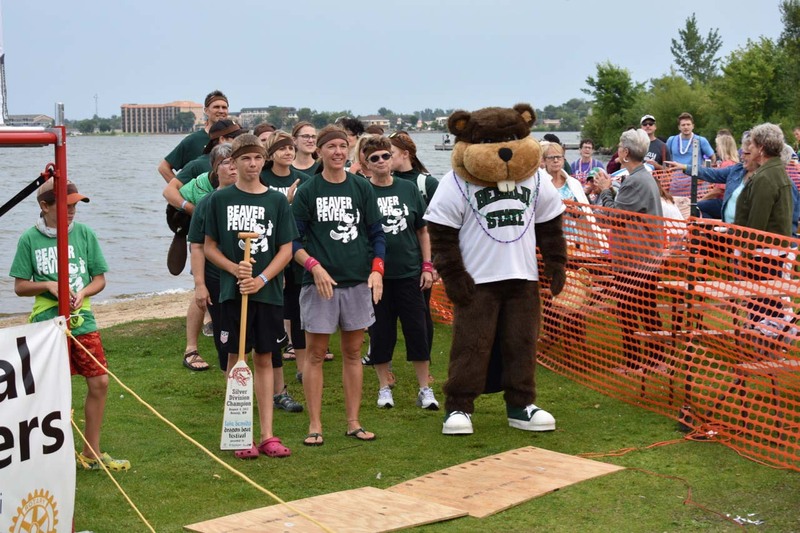 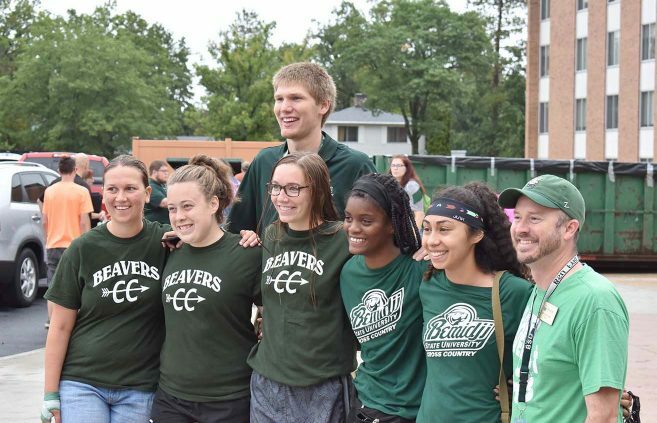 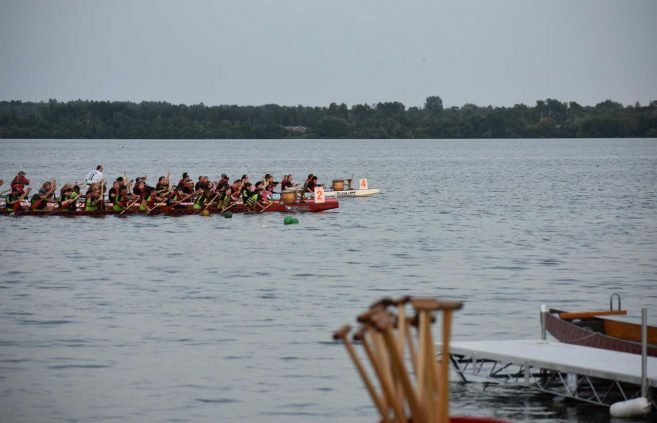 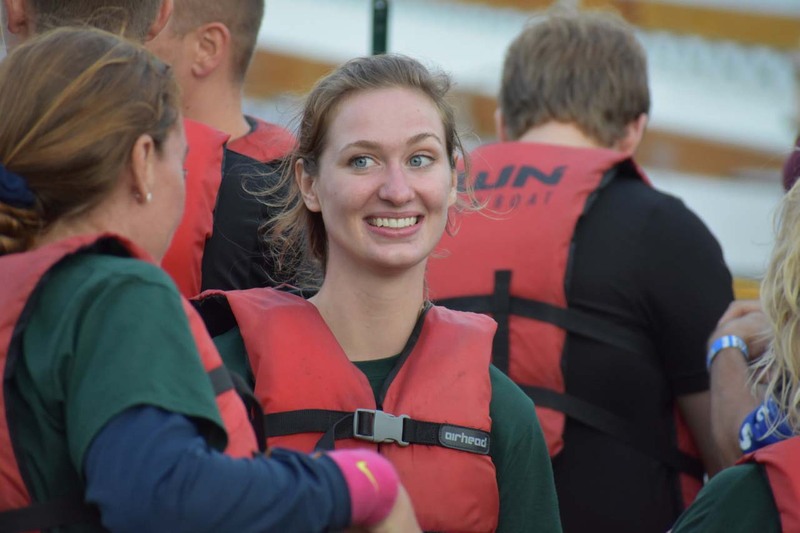 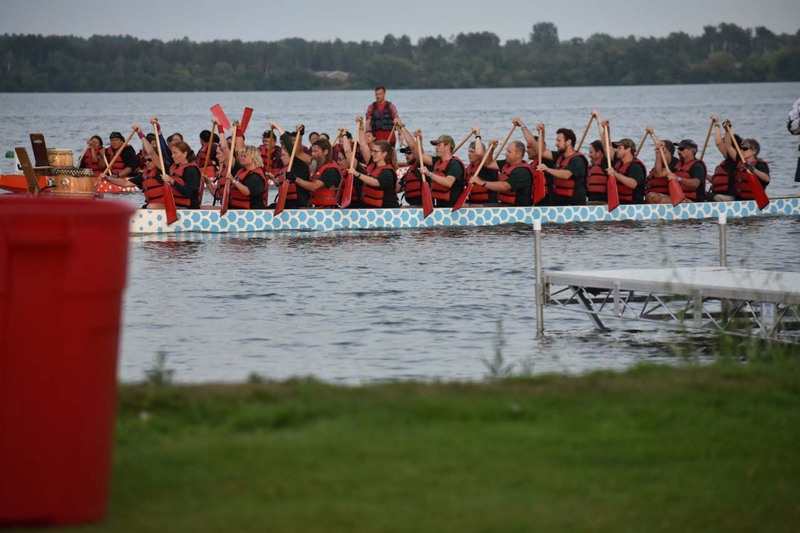 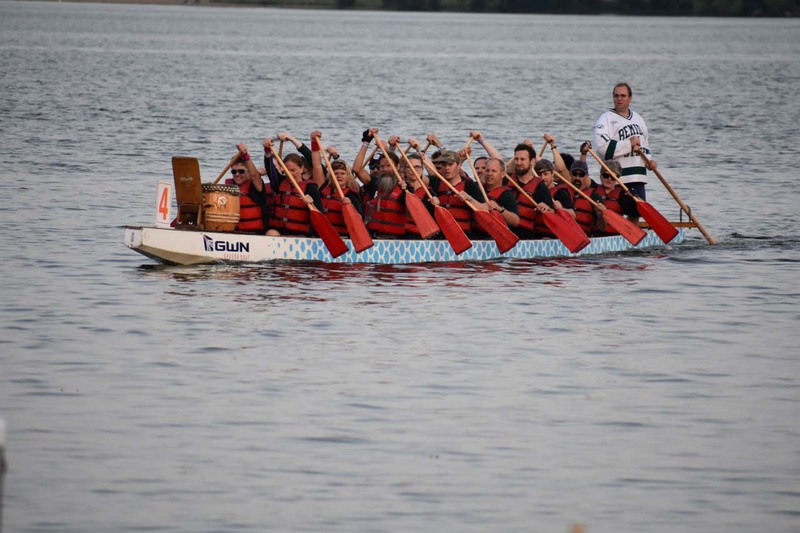 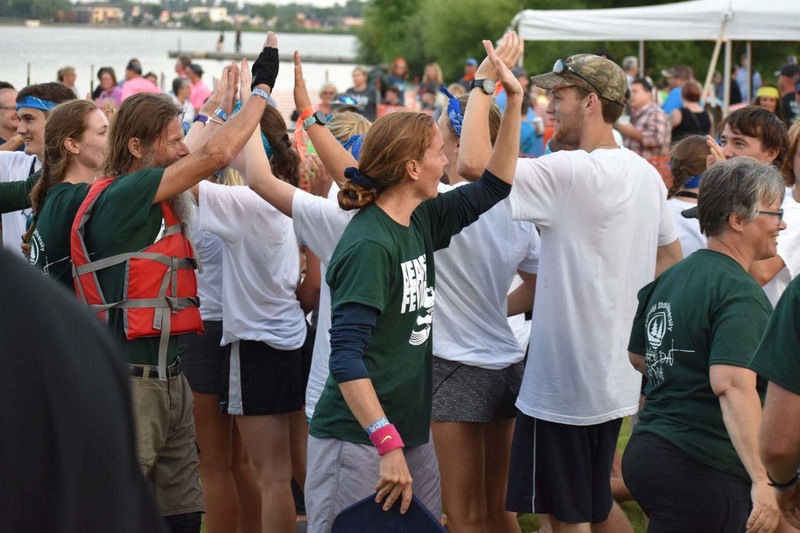 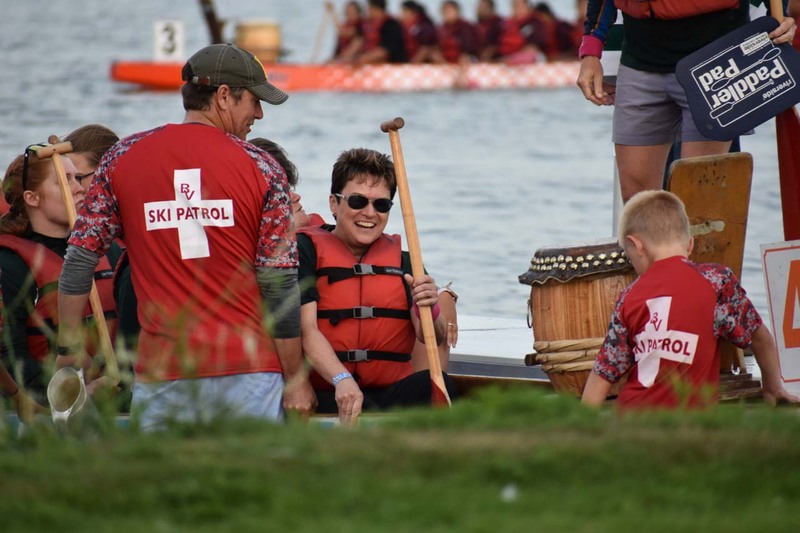 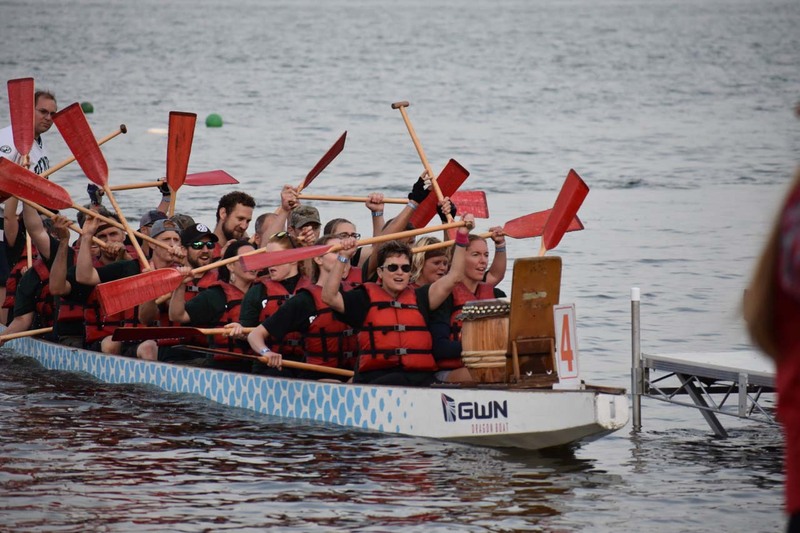 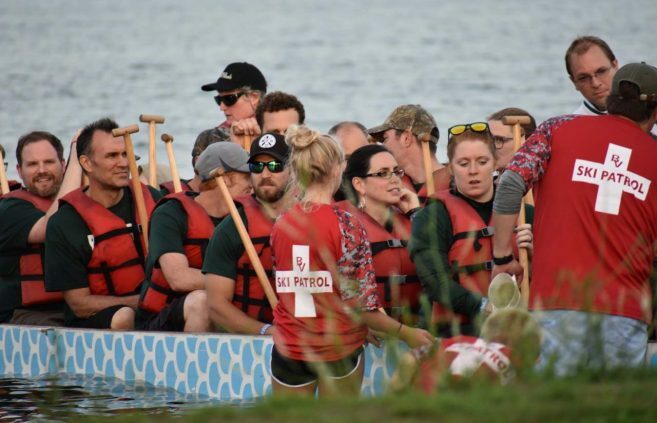 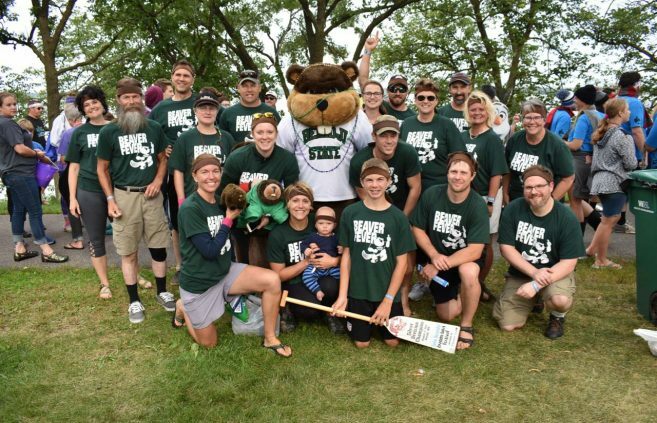 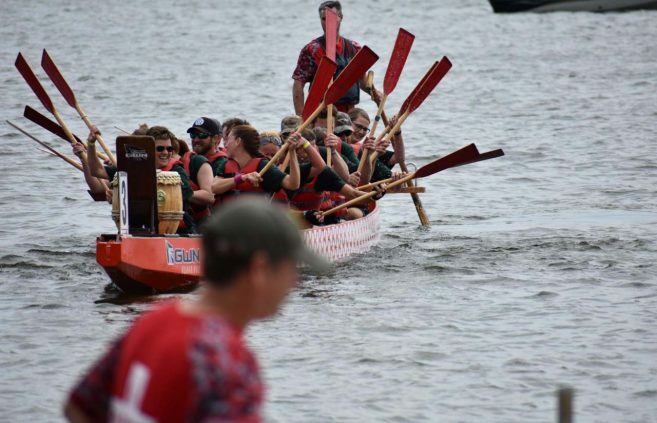 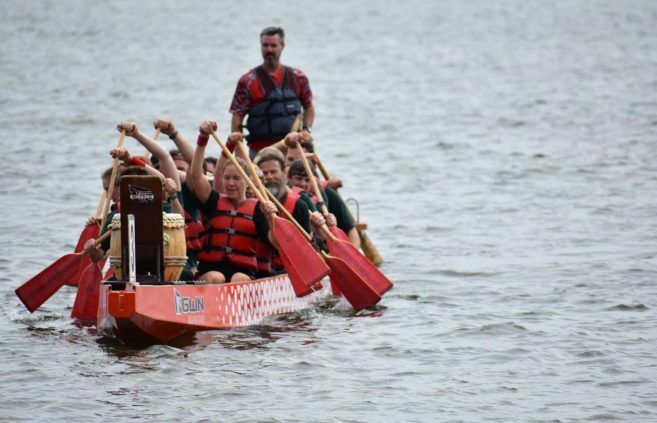 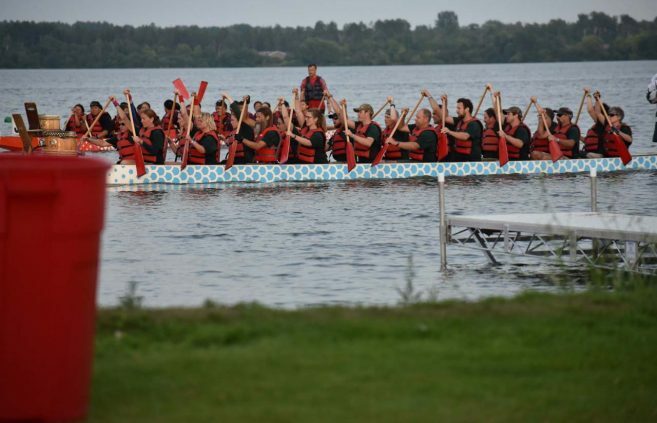 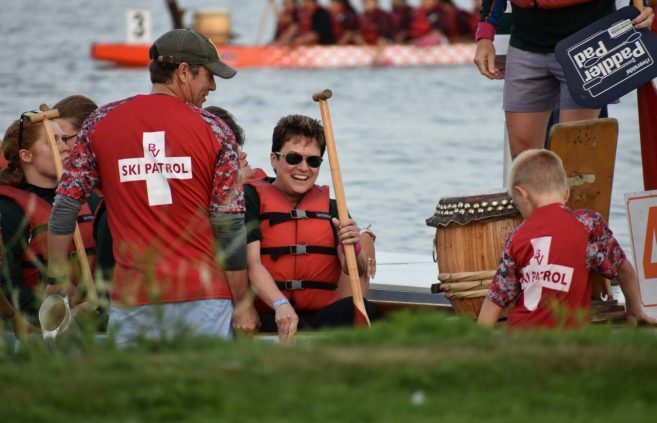 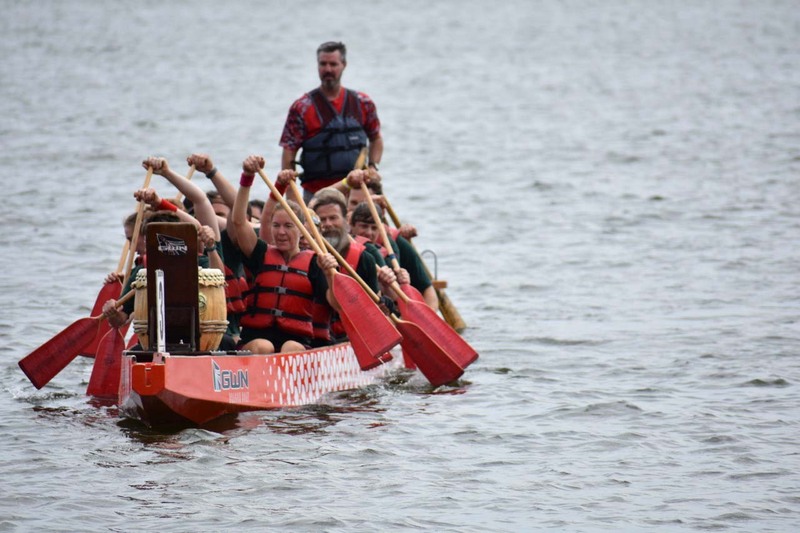 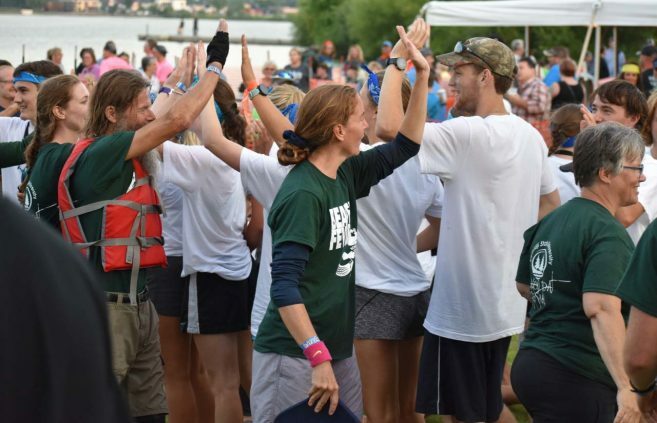 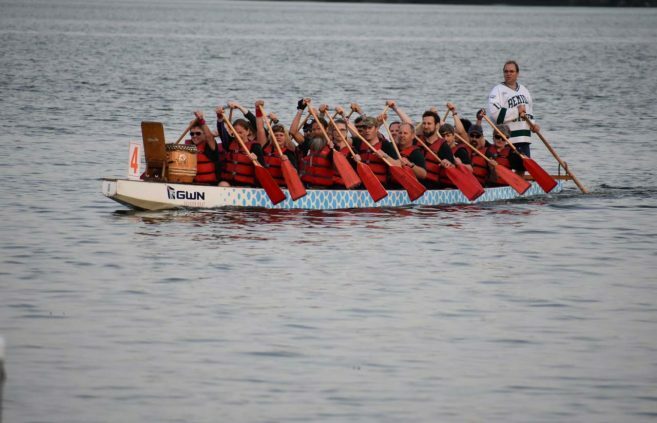 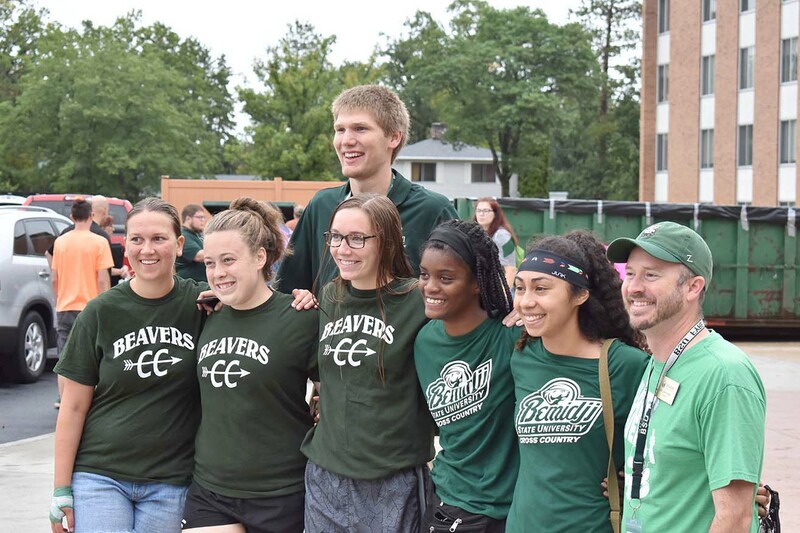 Bemidji State University’s Beaver Fever team finished eighth overall and narrowly missed a Sprint Cup championship at the 13th Annual Lake Bemidji Dragon Boat Festival, Aug. 3-4.